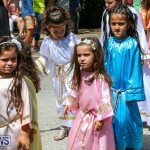 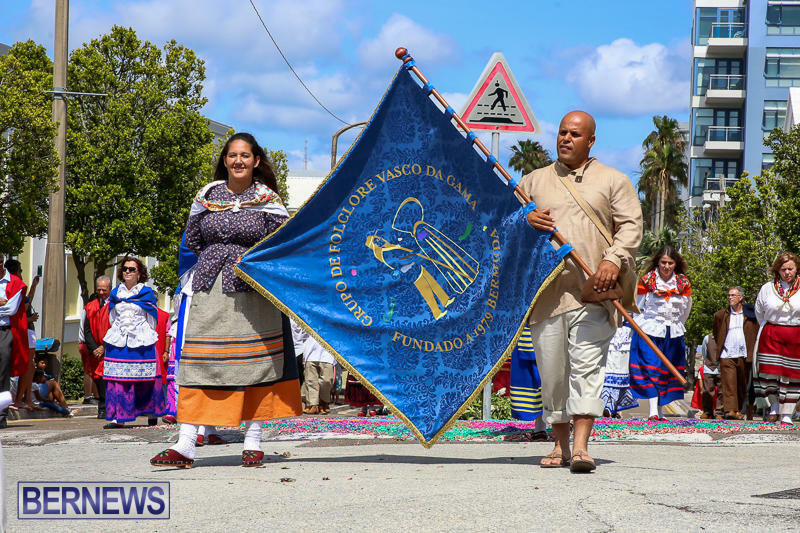 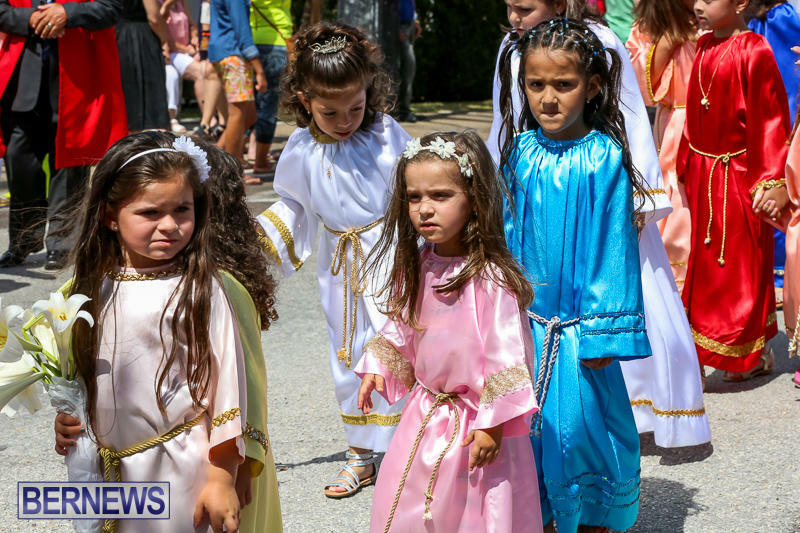 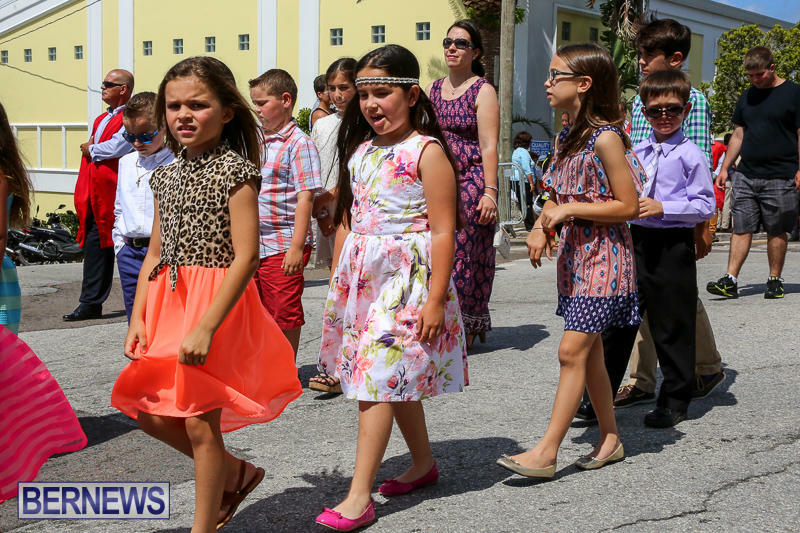 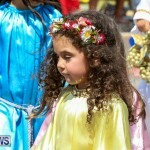 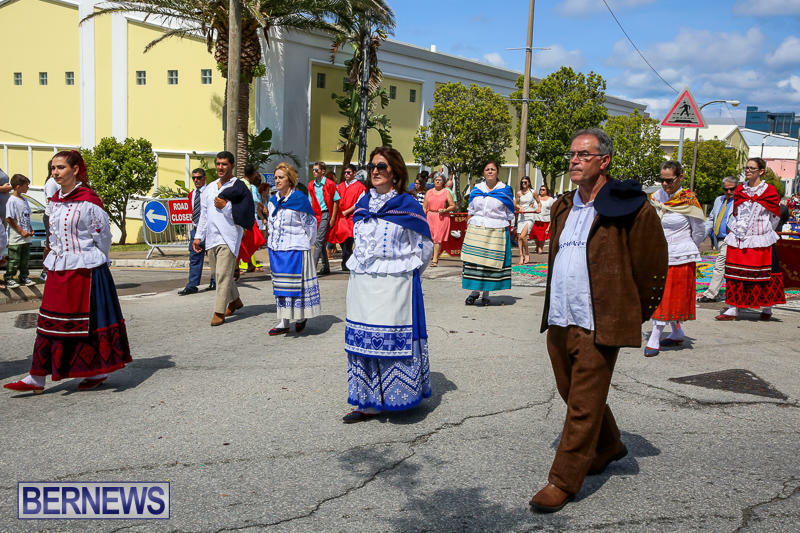 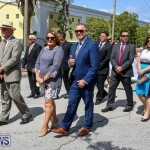 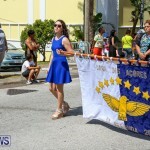 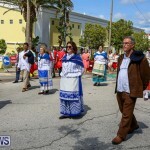 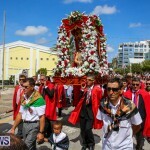 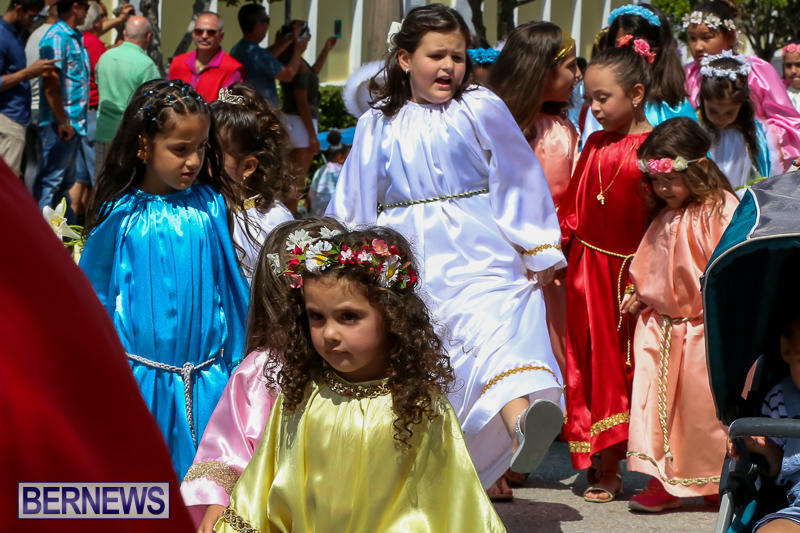 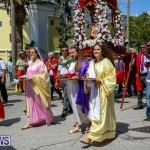 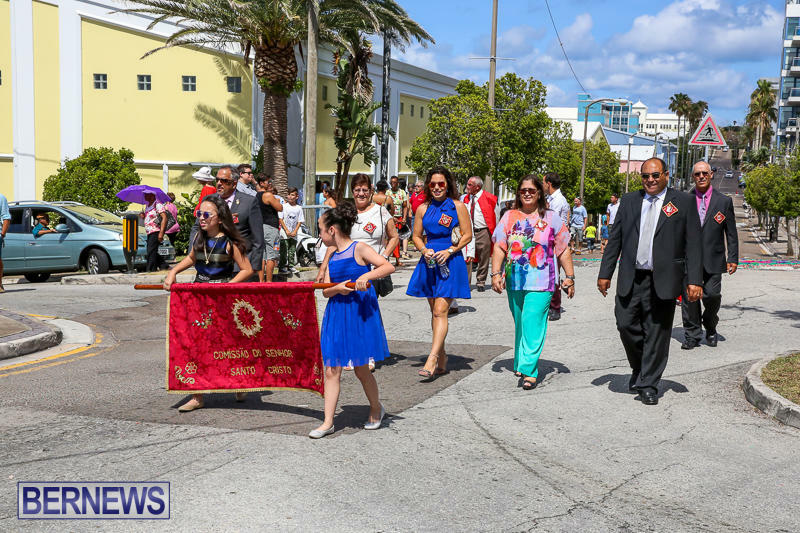 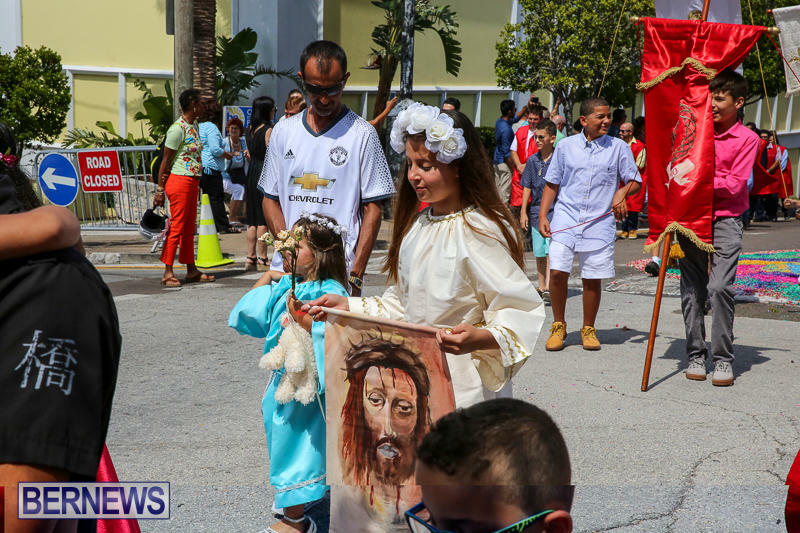 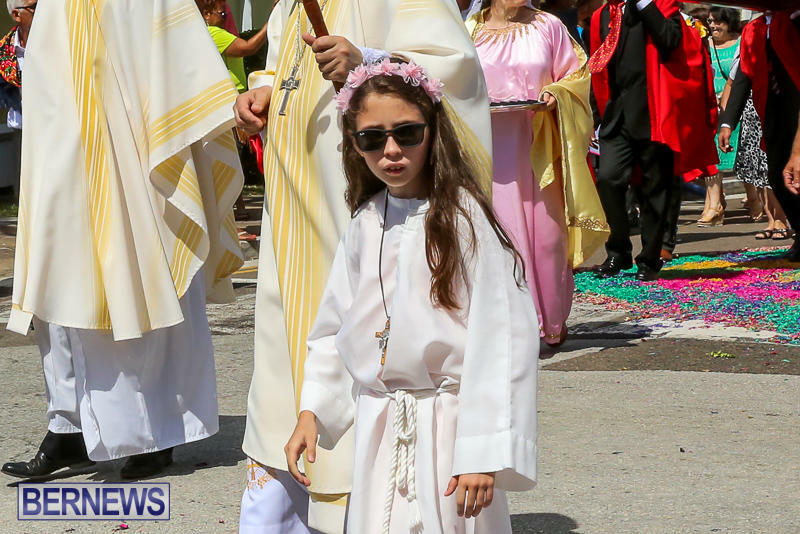 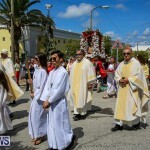 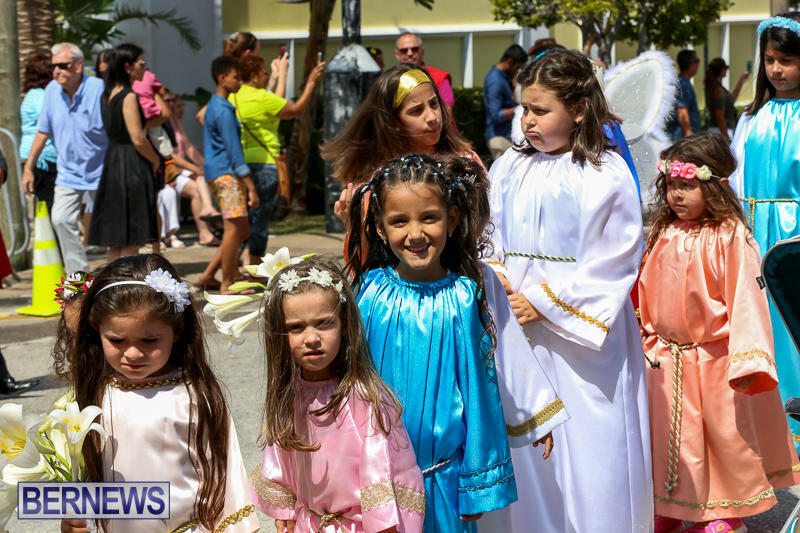 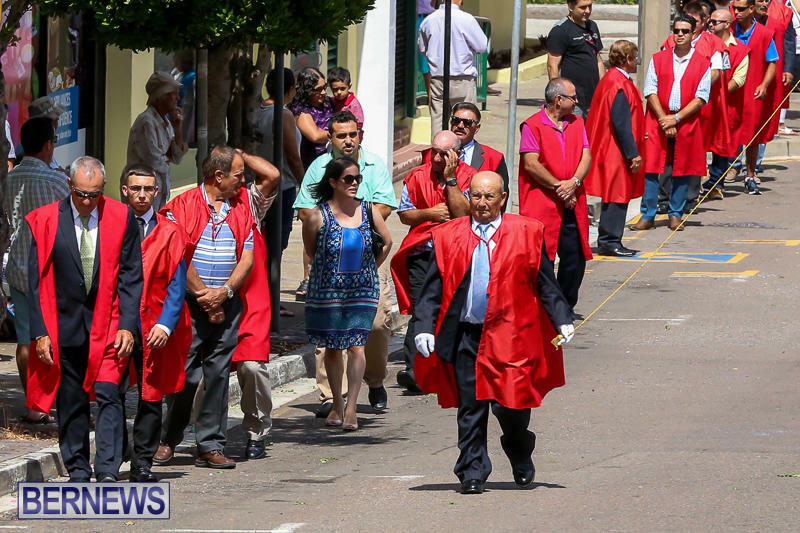 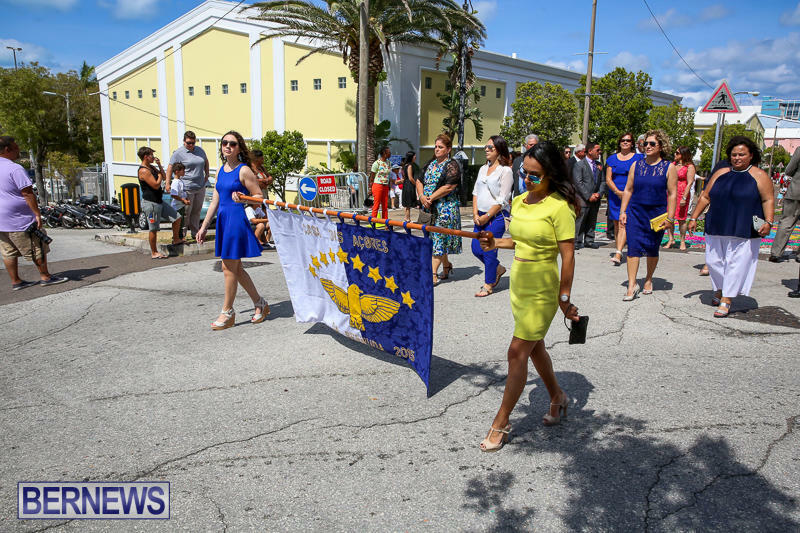 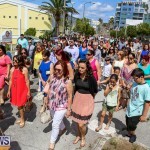 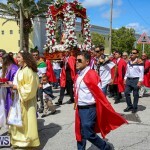 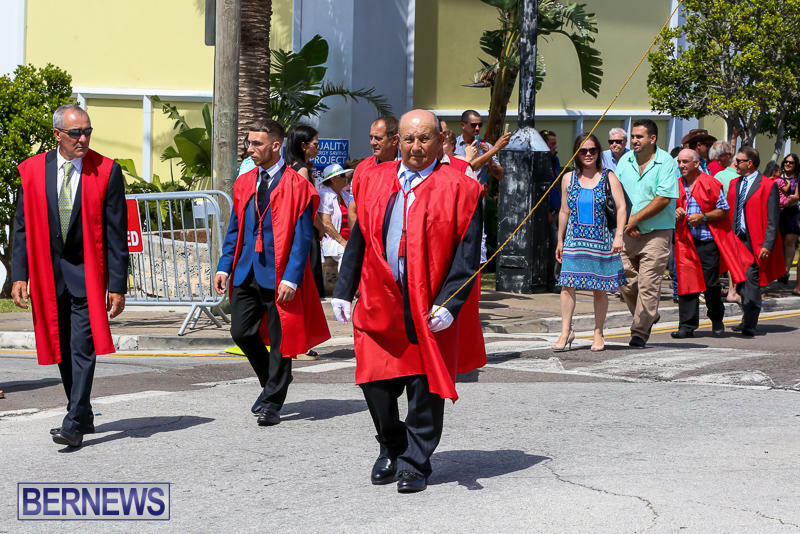 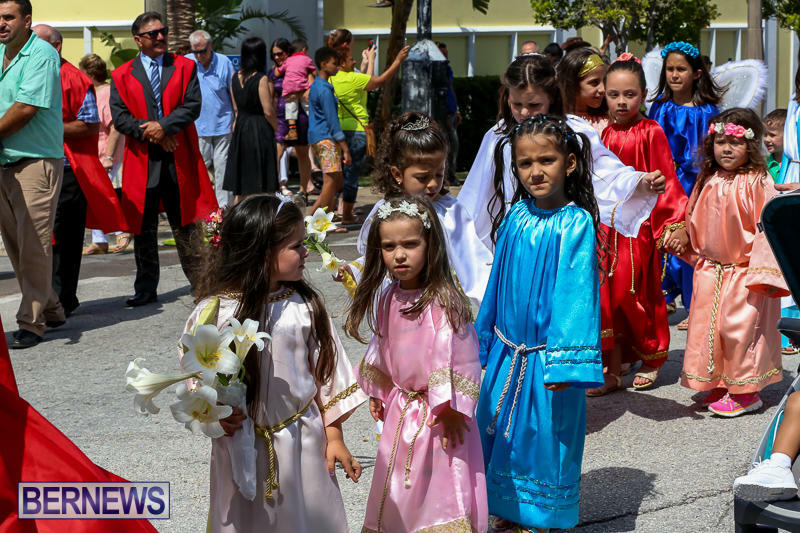 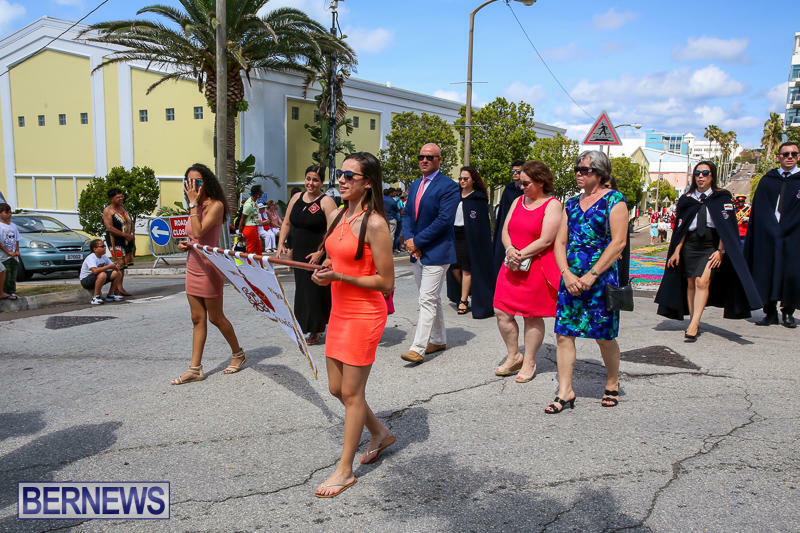 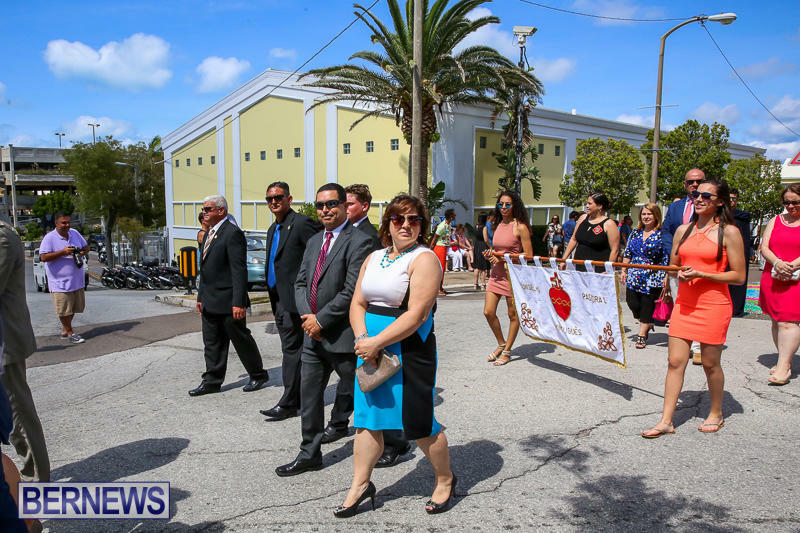 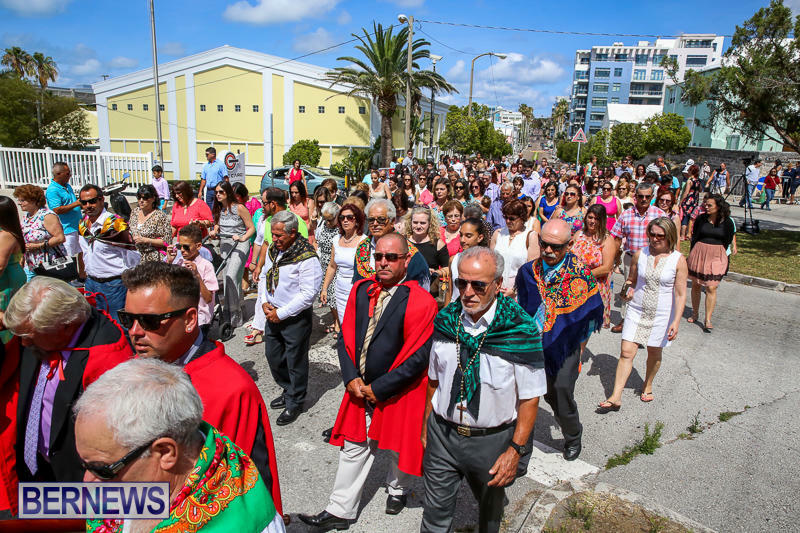 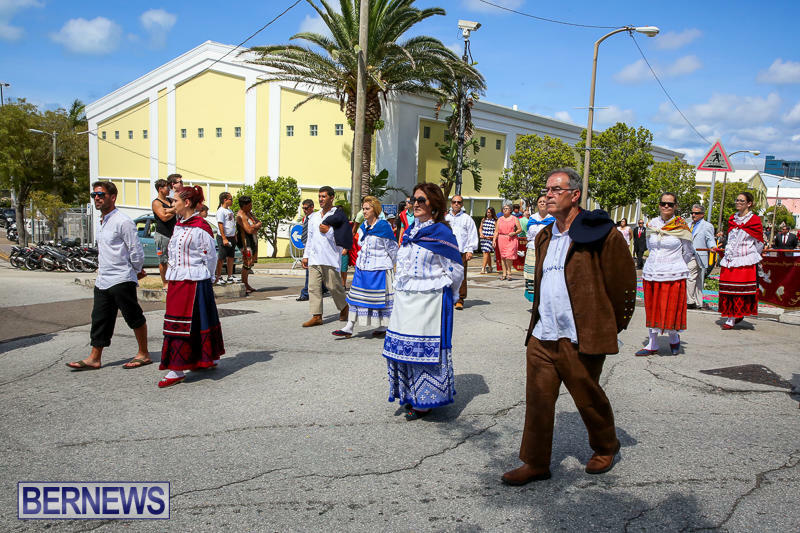 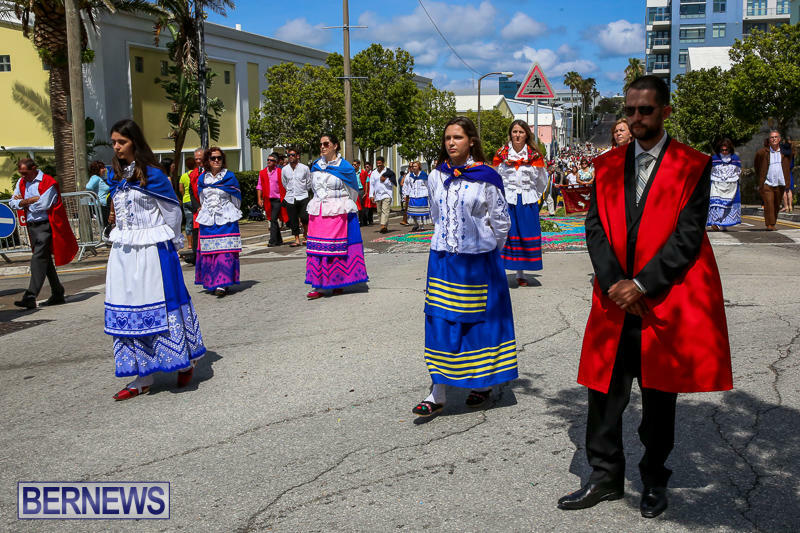 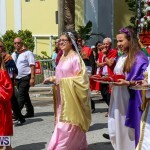 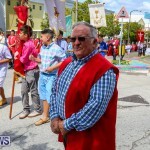 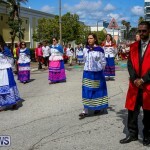 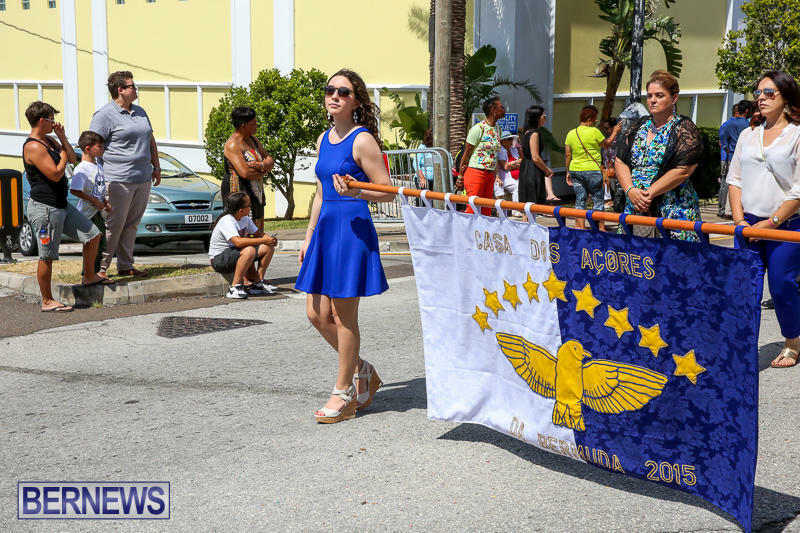 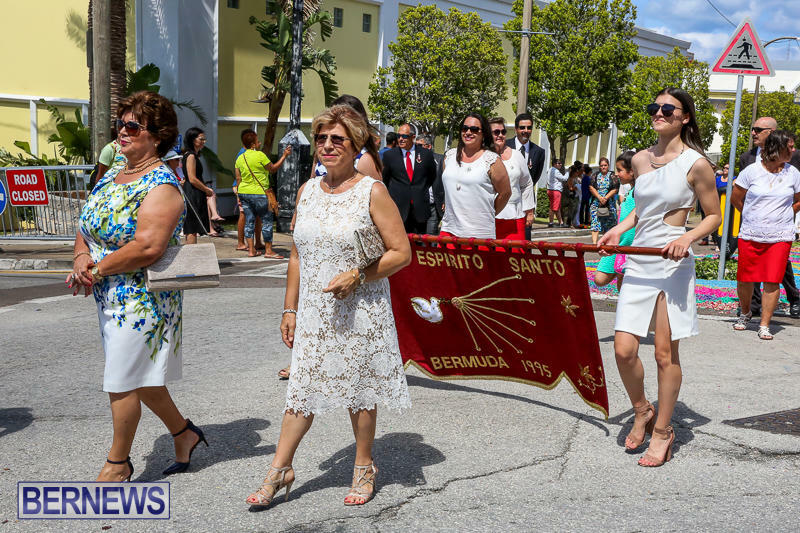 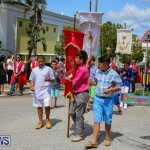 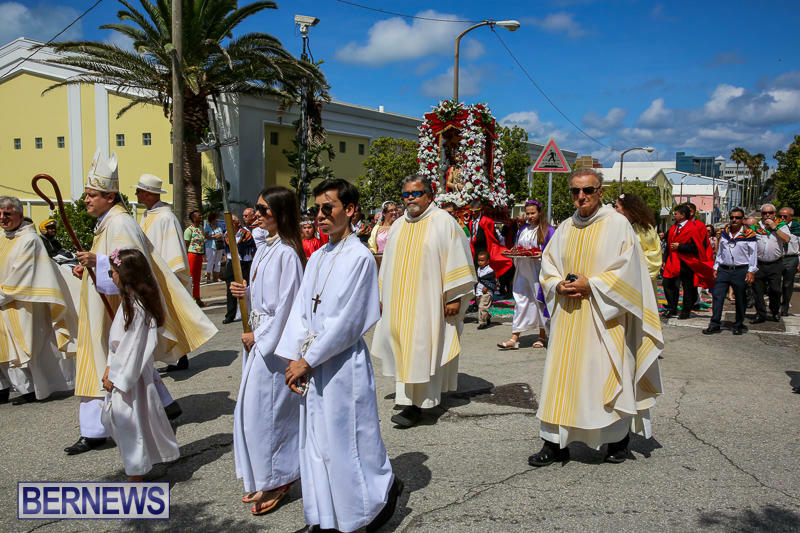 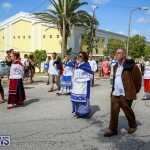 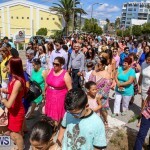 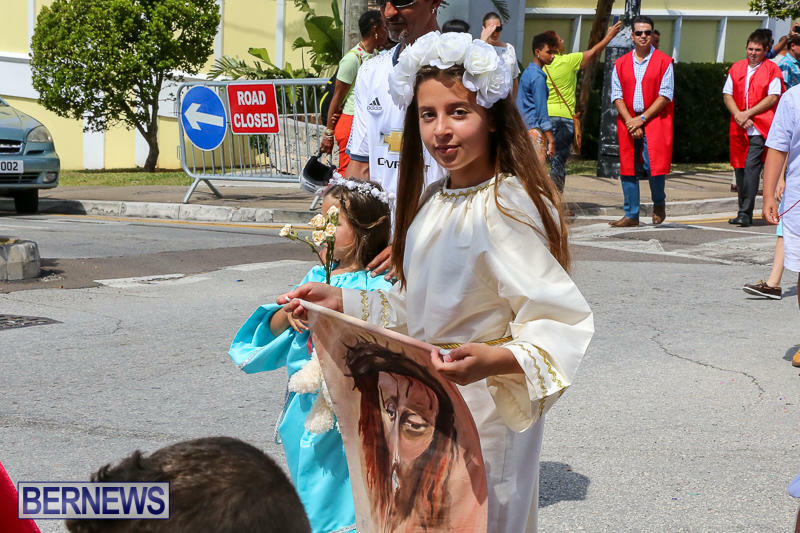 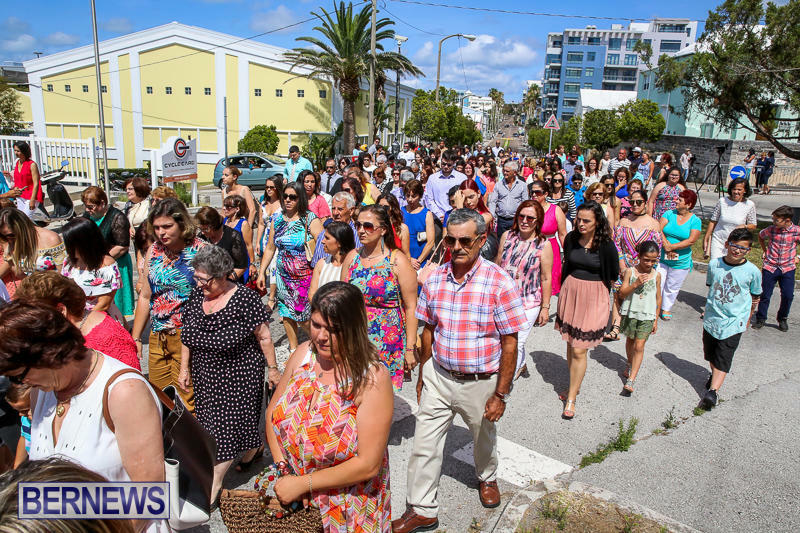 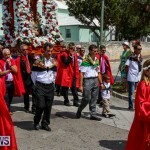 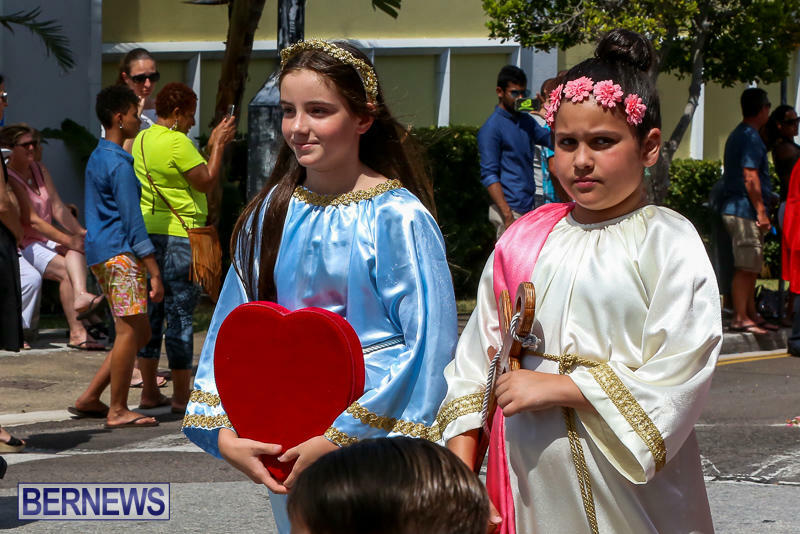 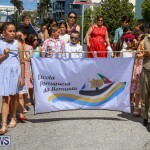 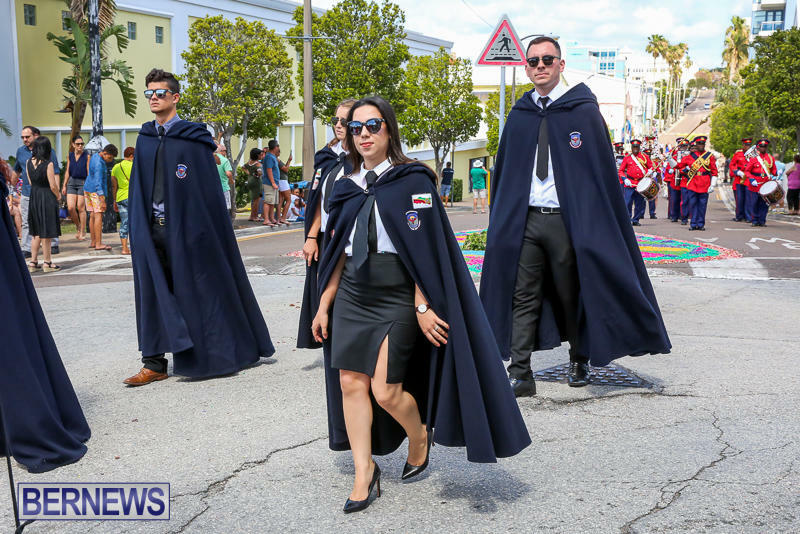 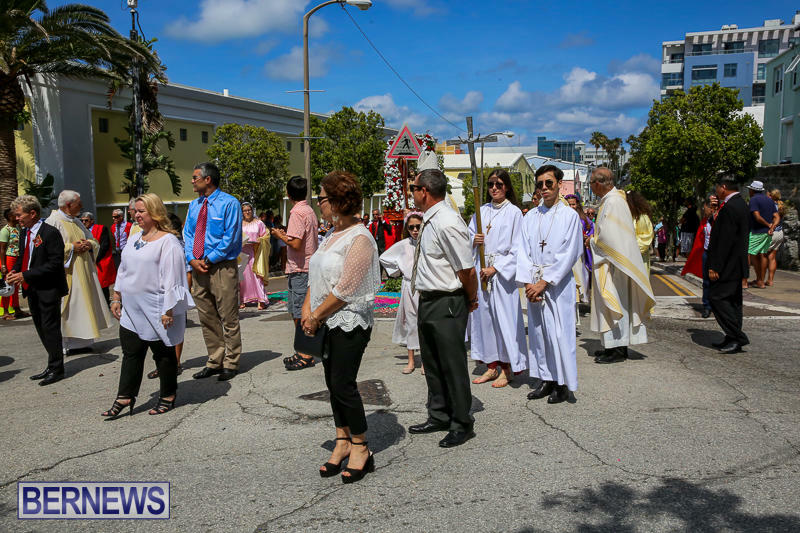 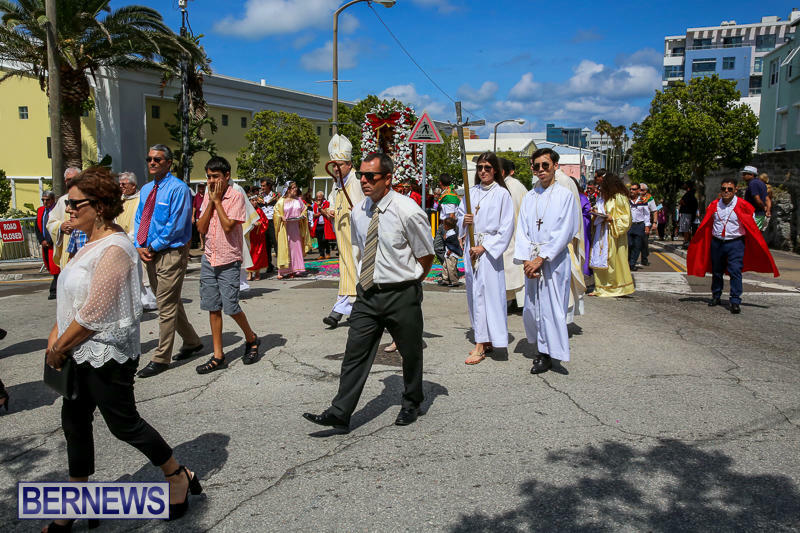 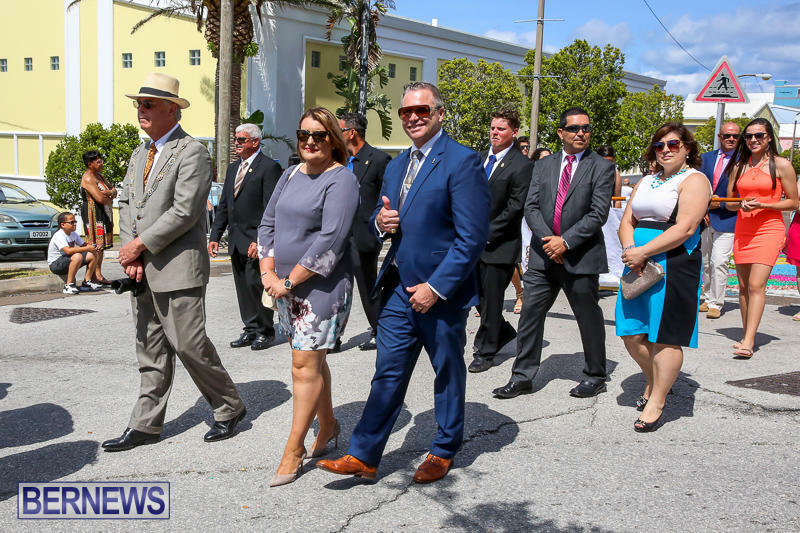 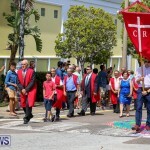 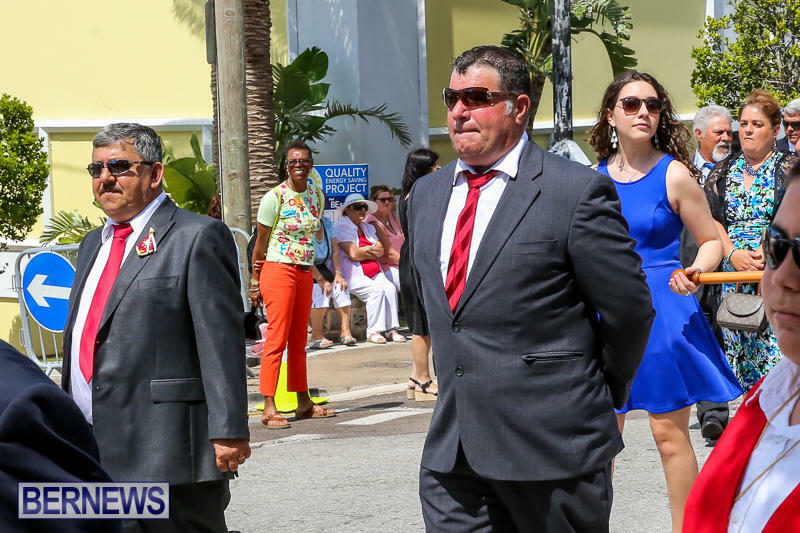 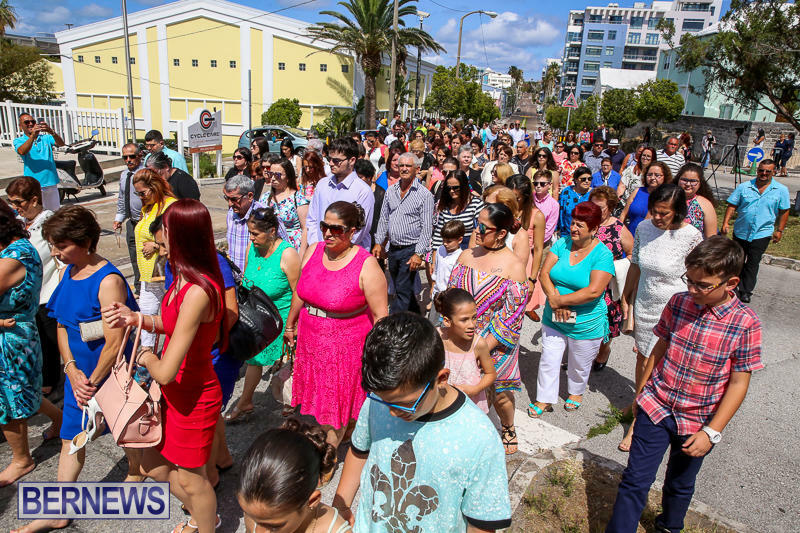 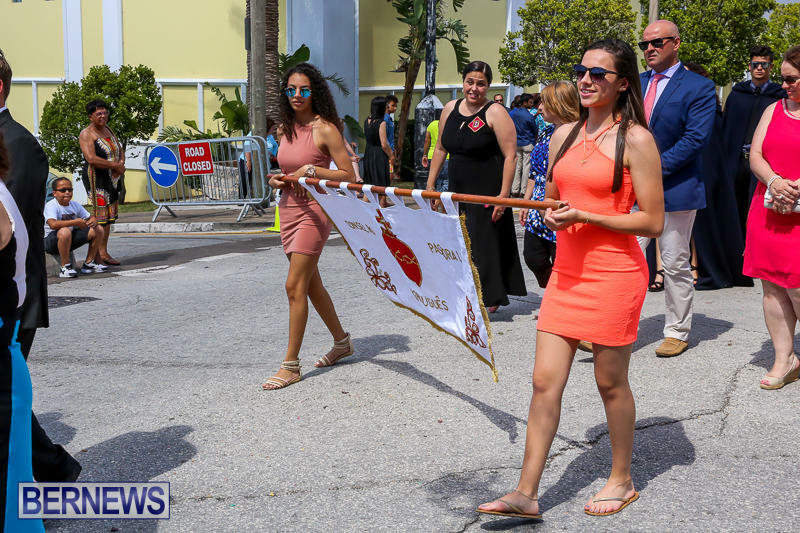 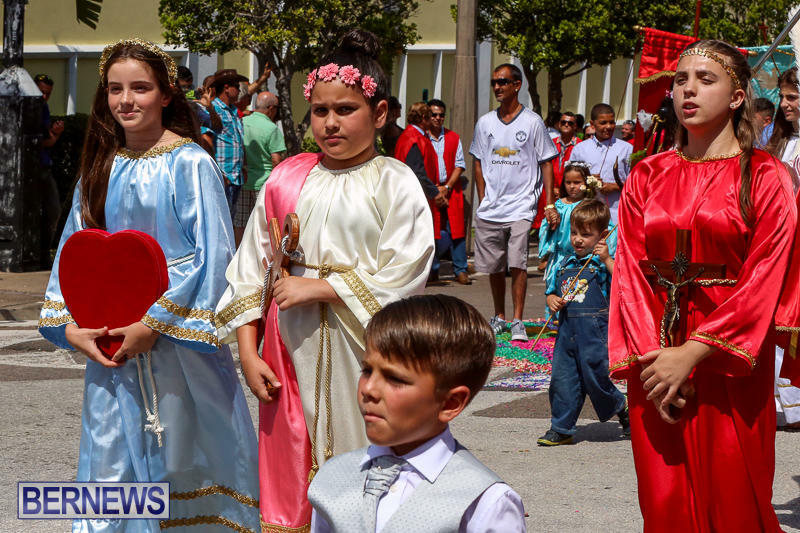 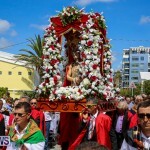 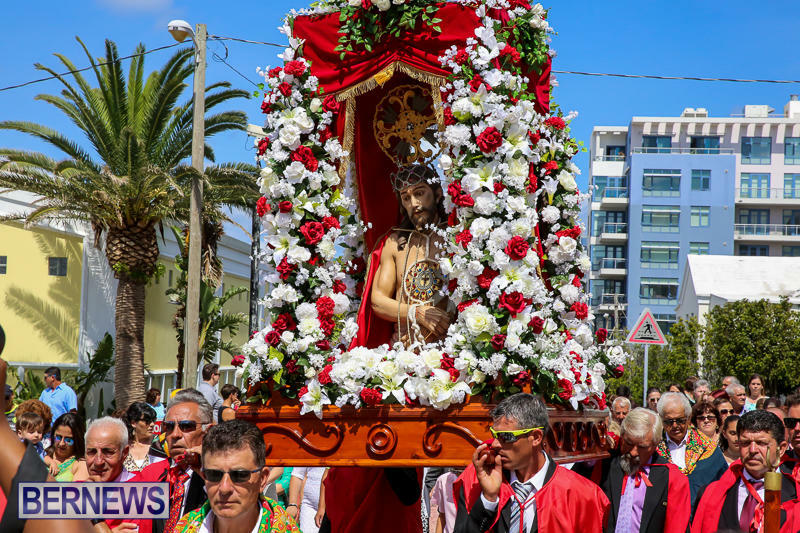 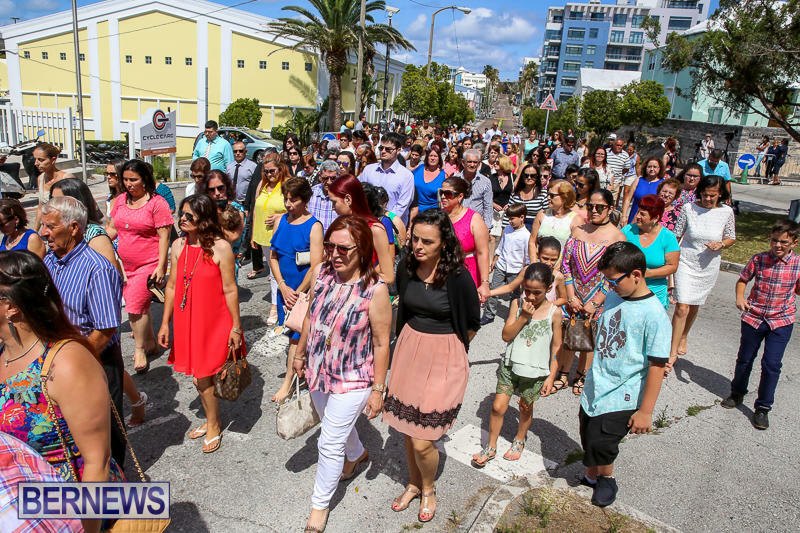 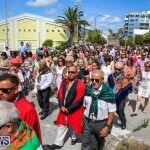 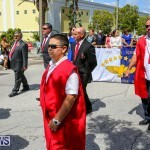 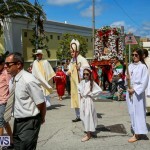 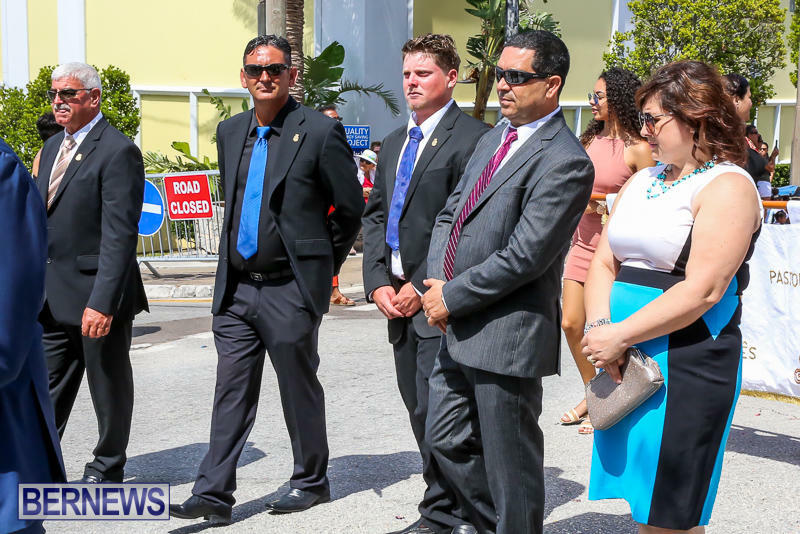 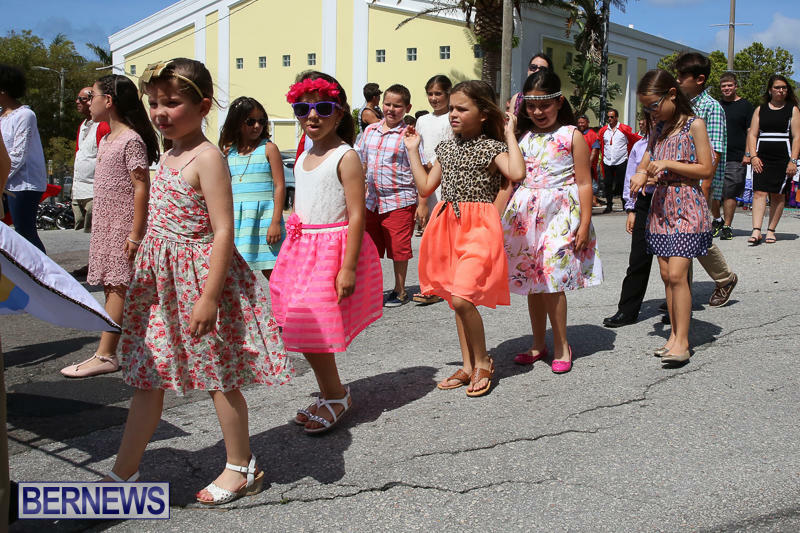 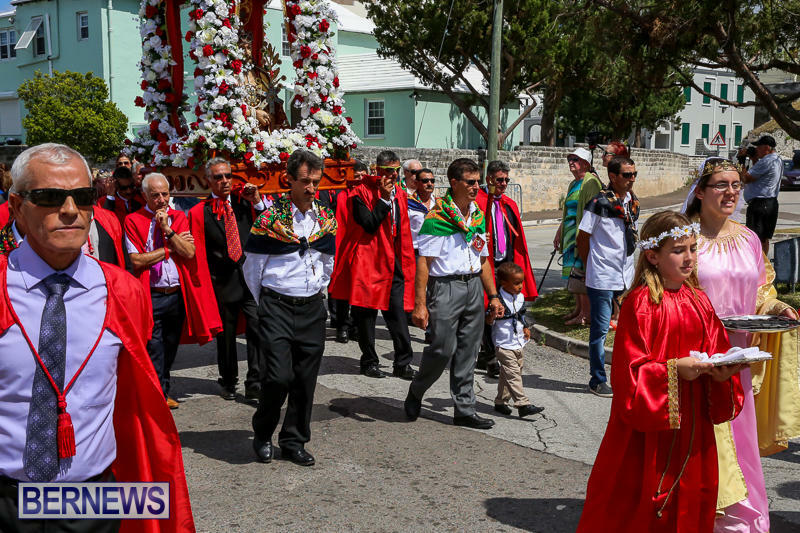 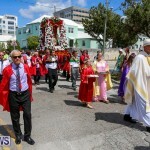 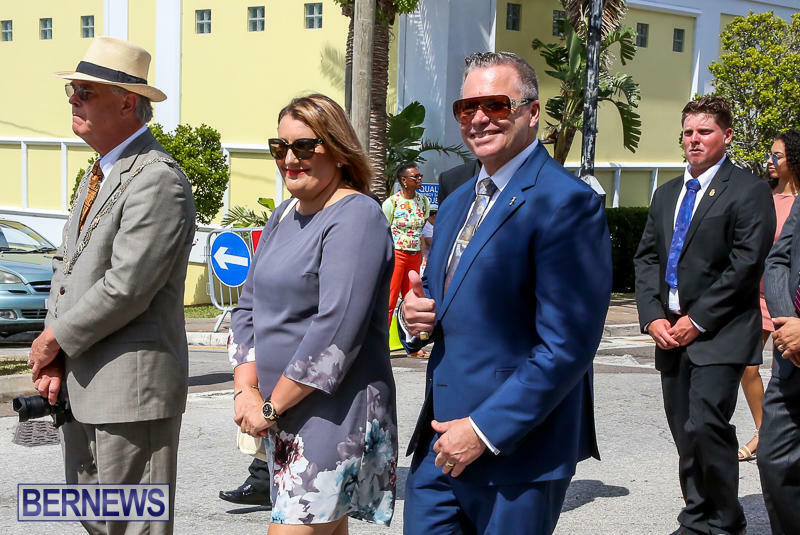 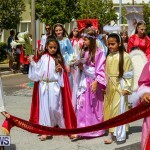 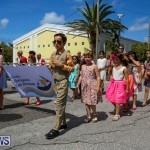 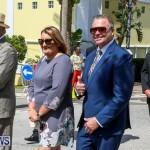 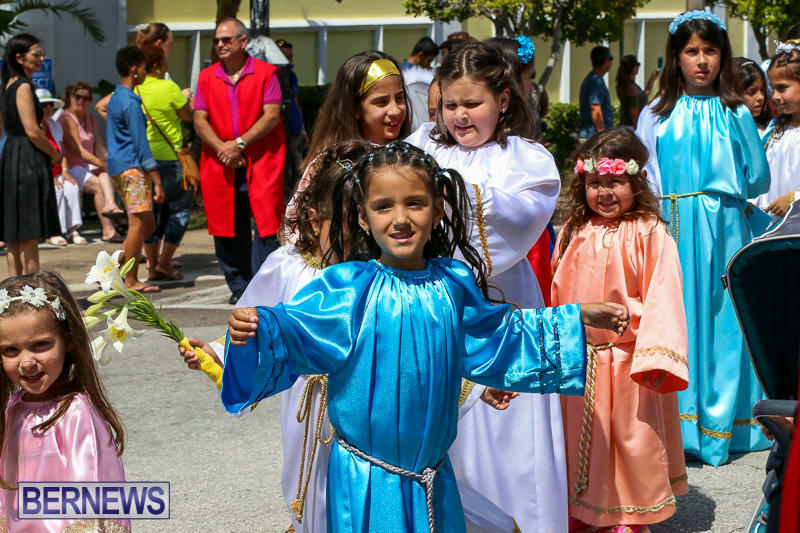 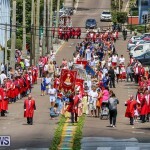 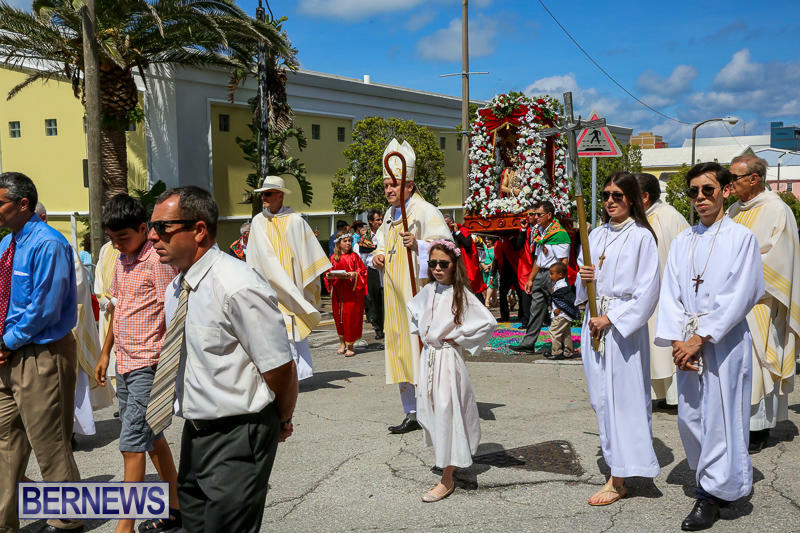 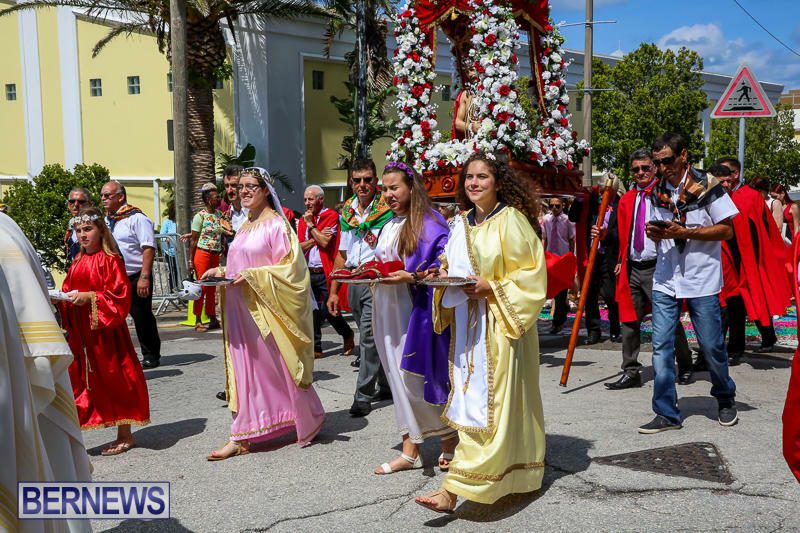 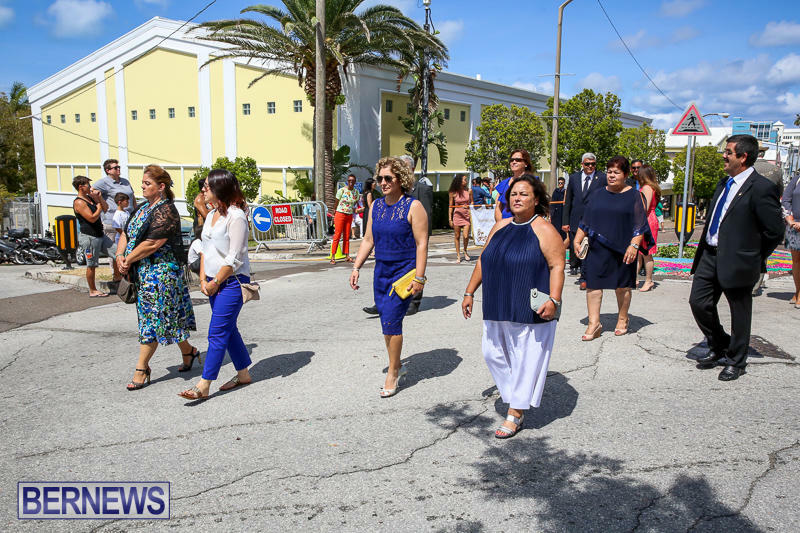 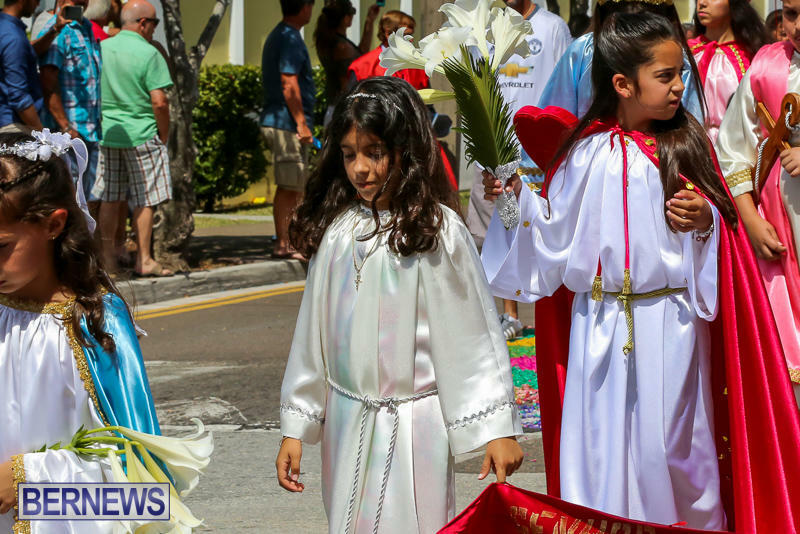 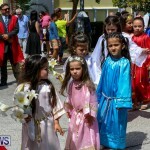 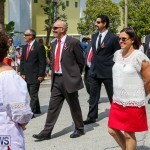 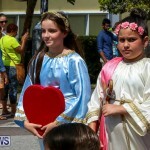 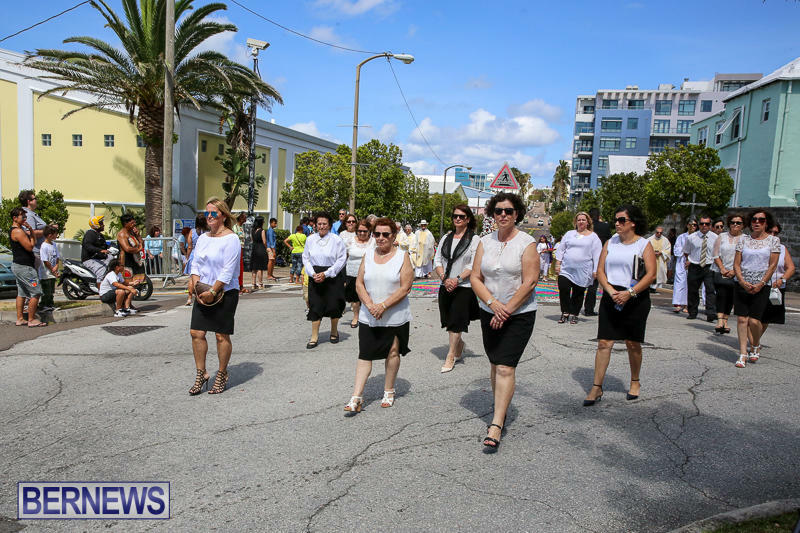 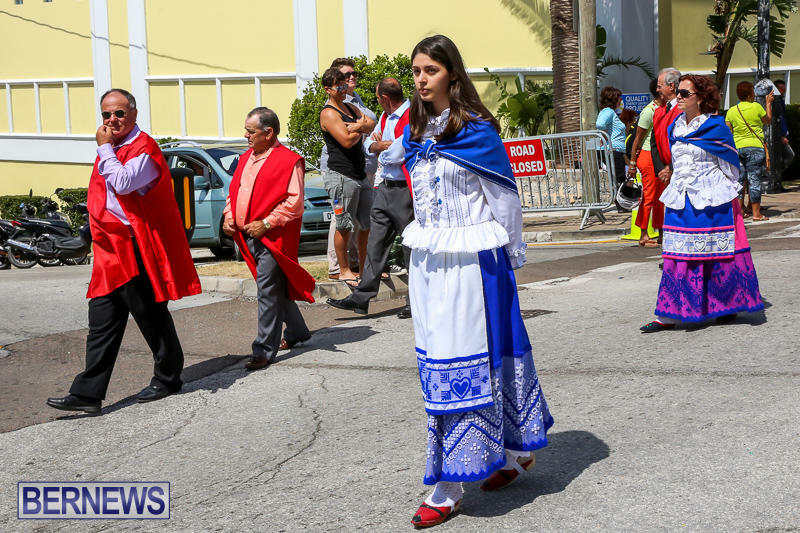 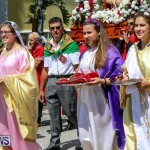 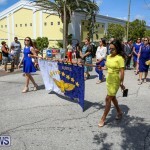 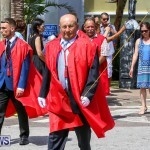 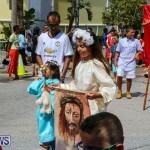 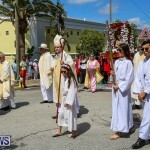 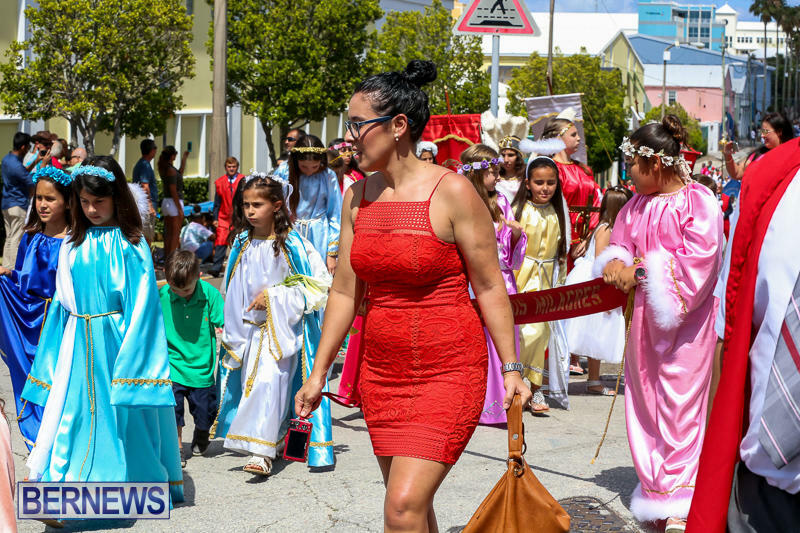 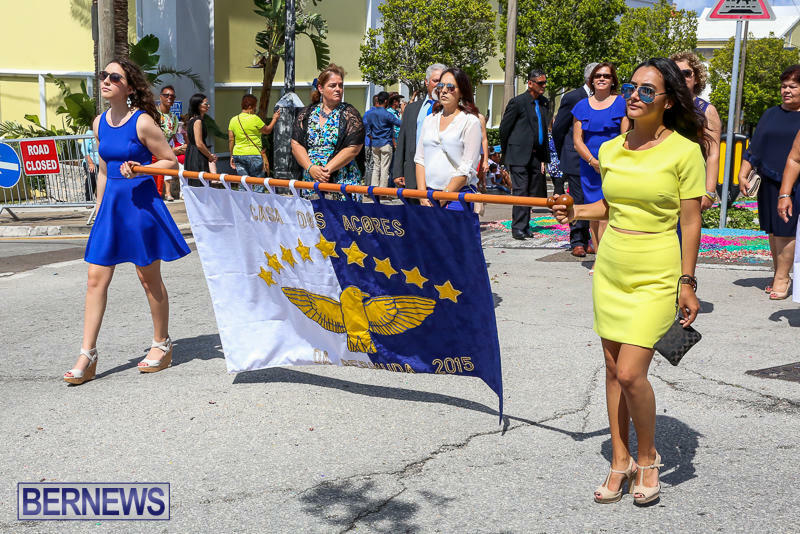 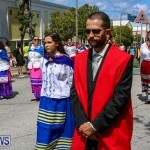 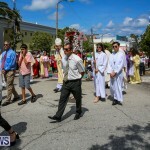 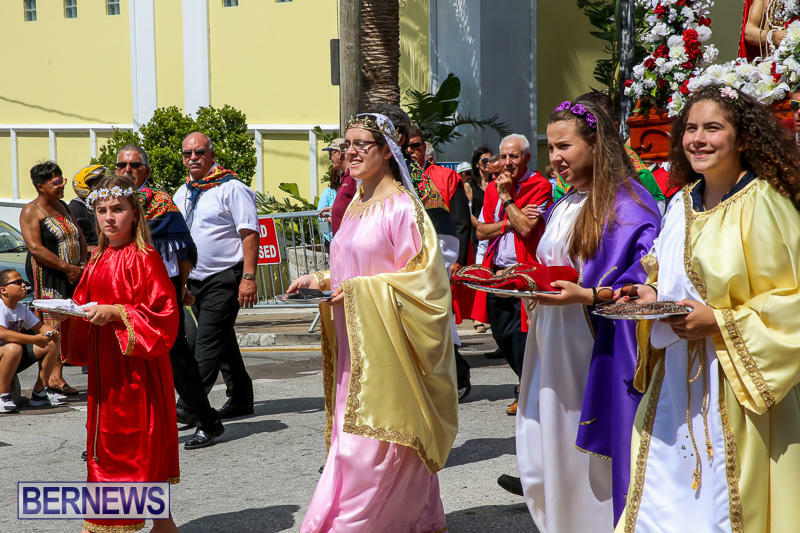 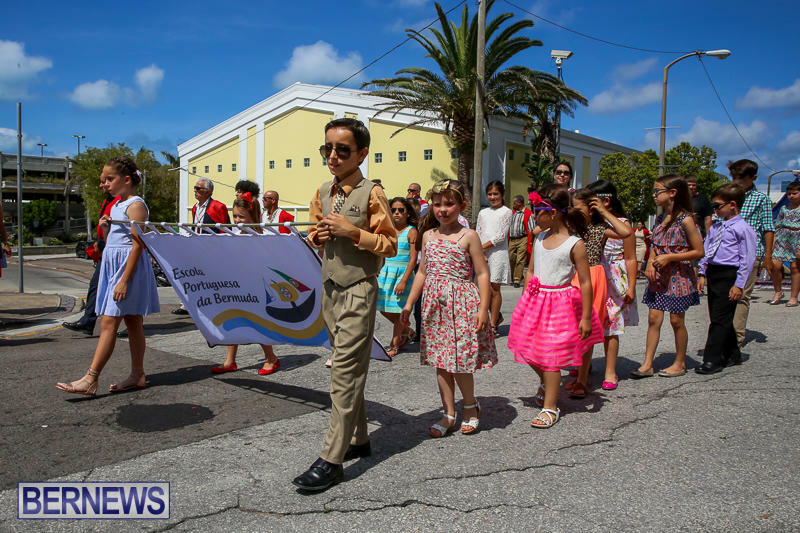 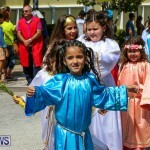 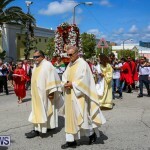 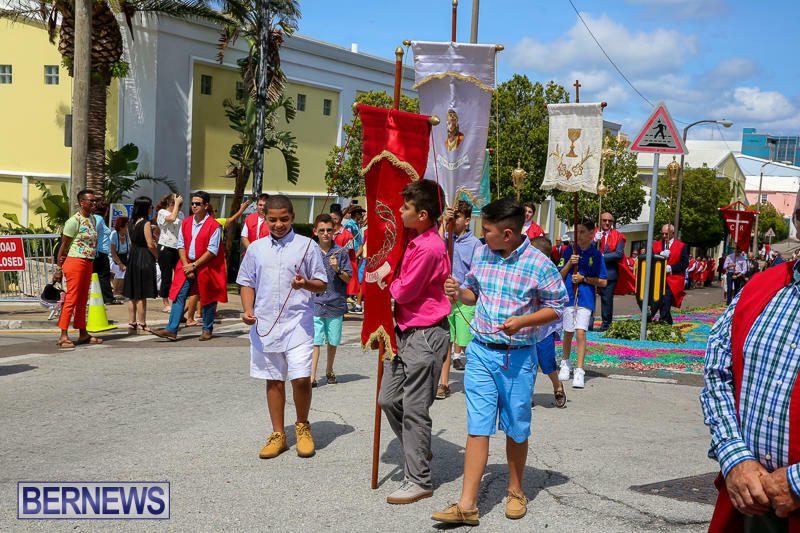 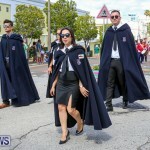 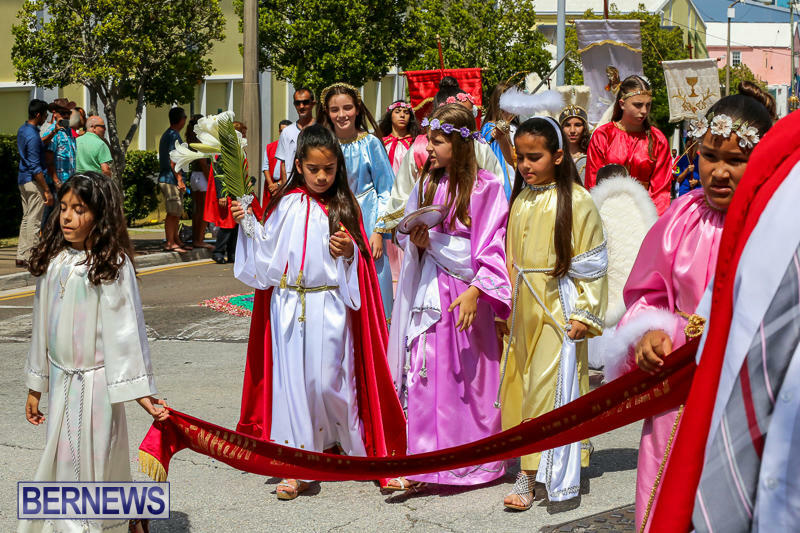 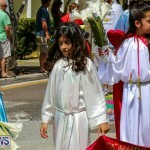 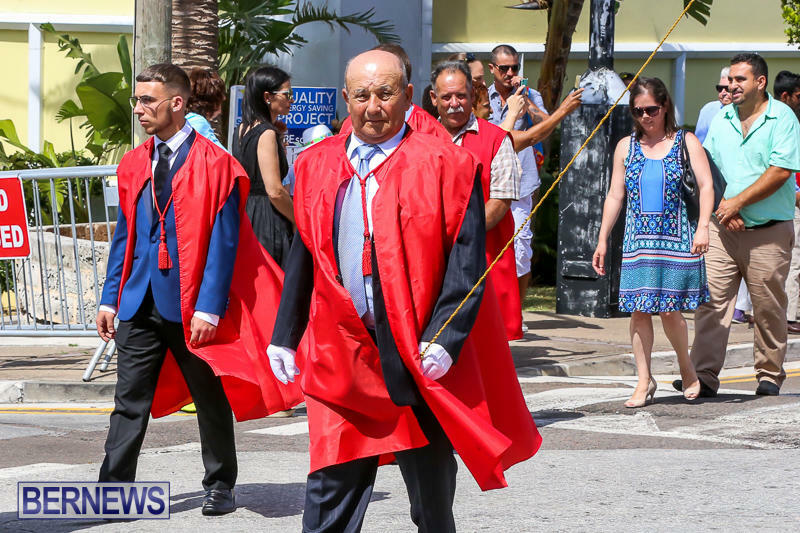 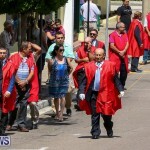 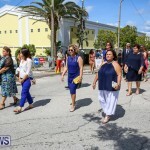 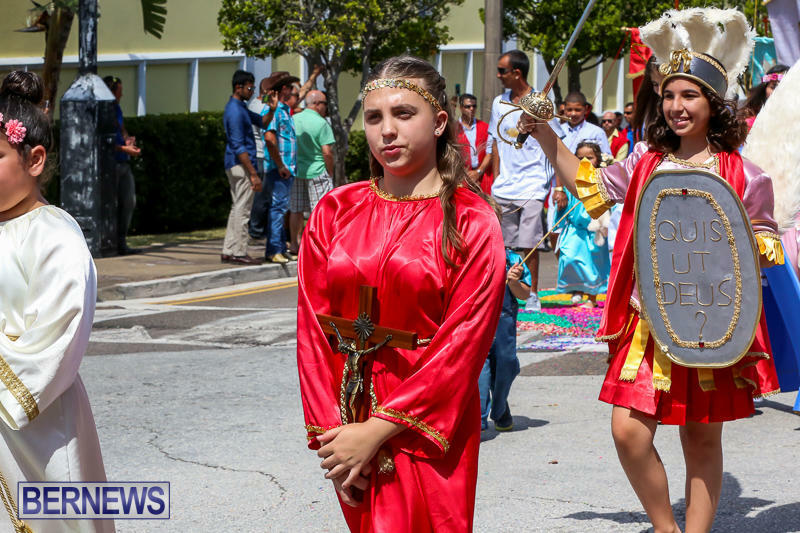 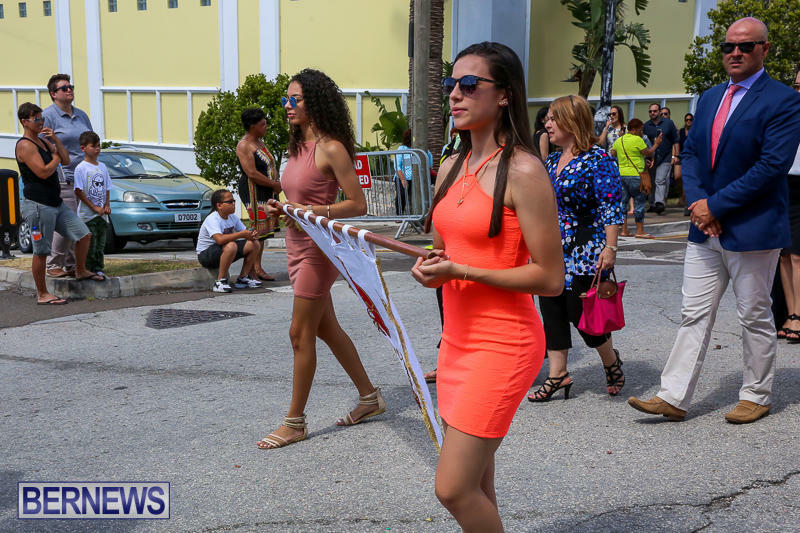 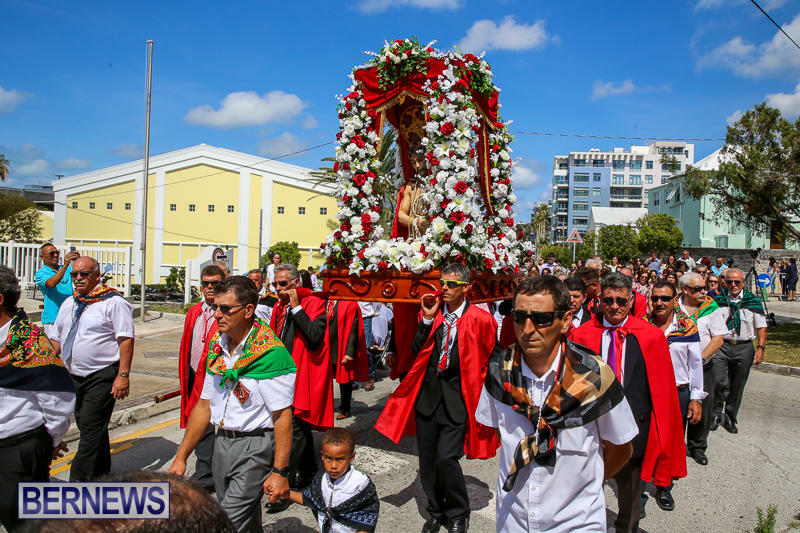 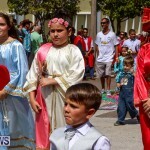 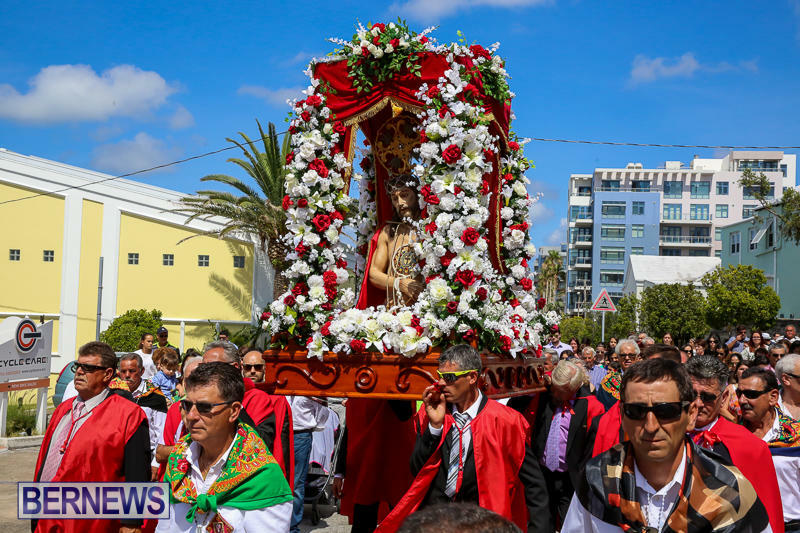 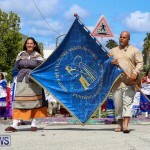 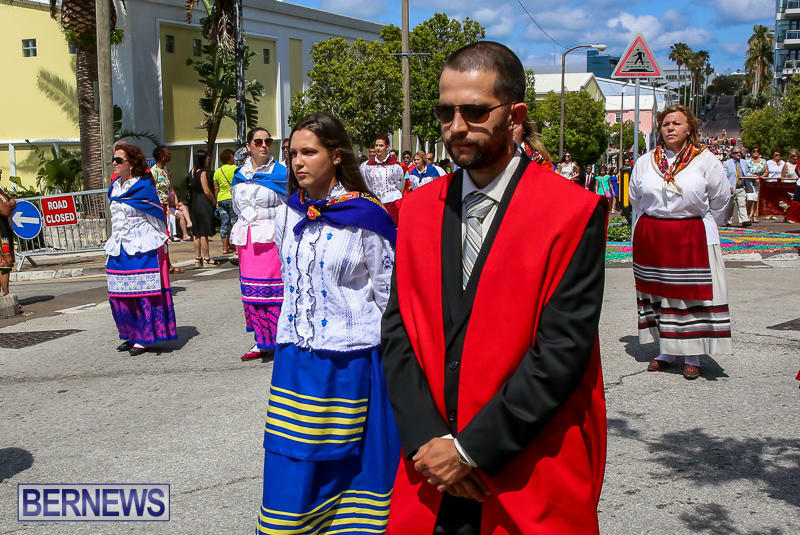 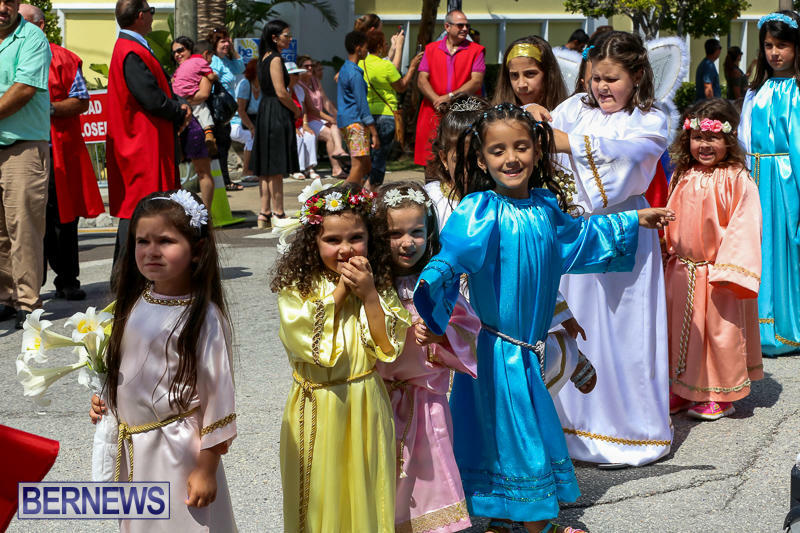 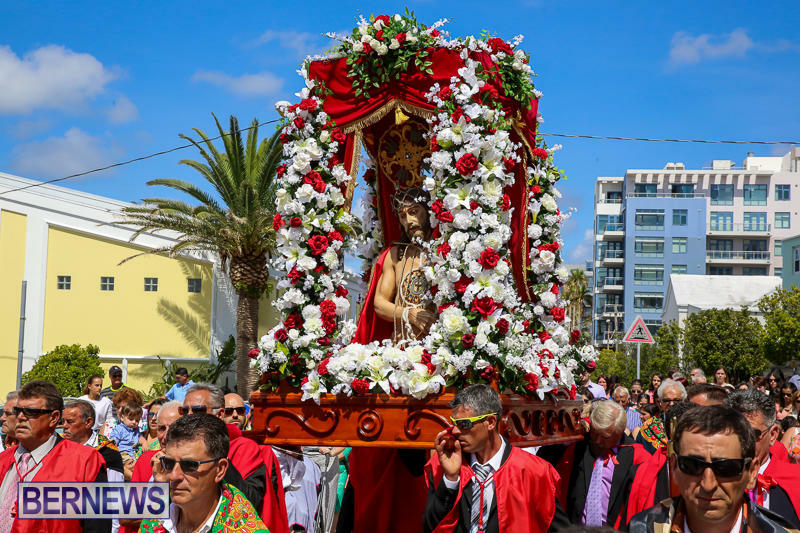 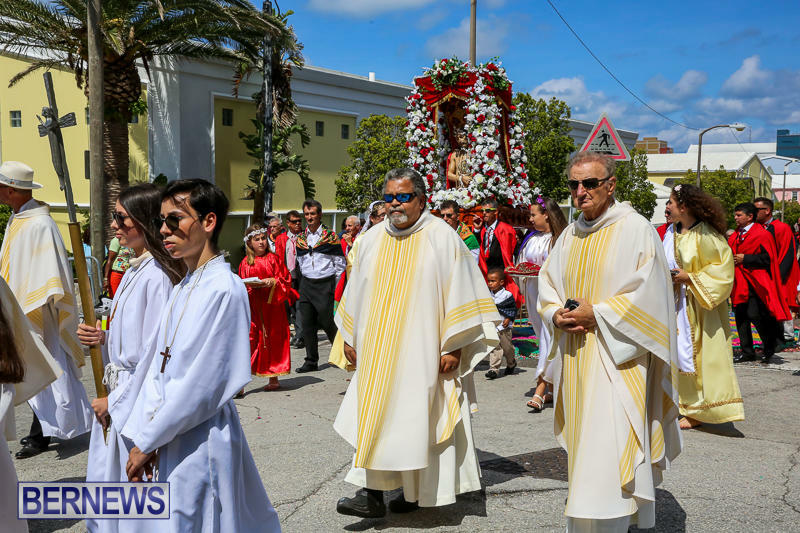 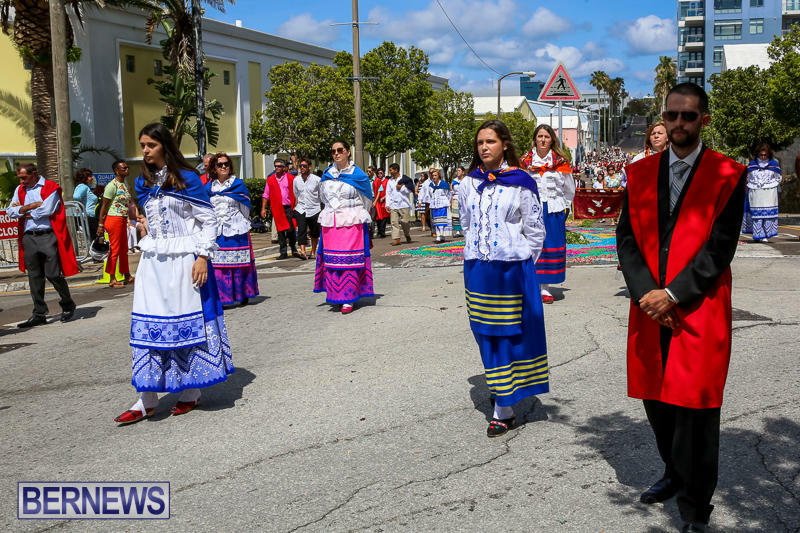 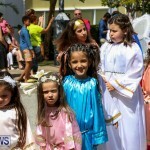 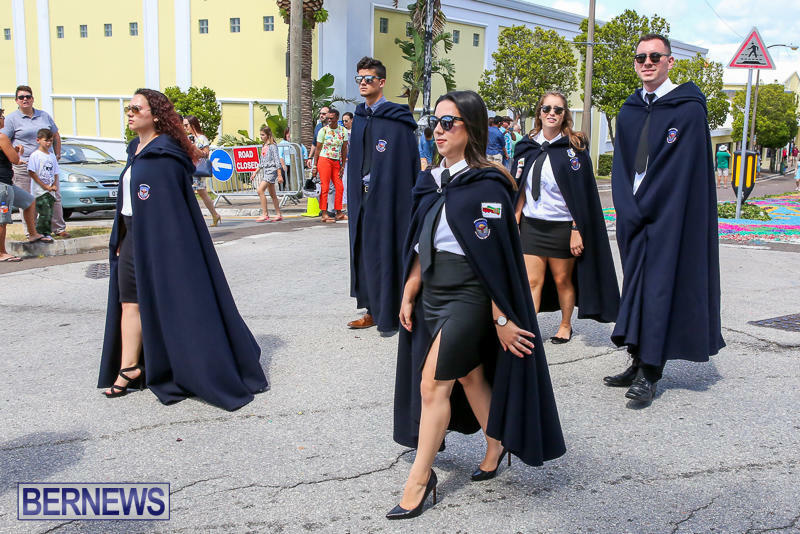 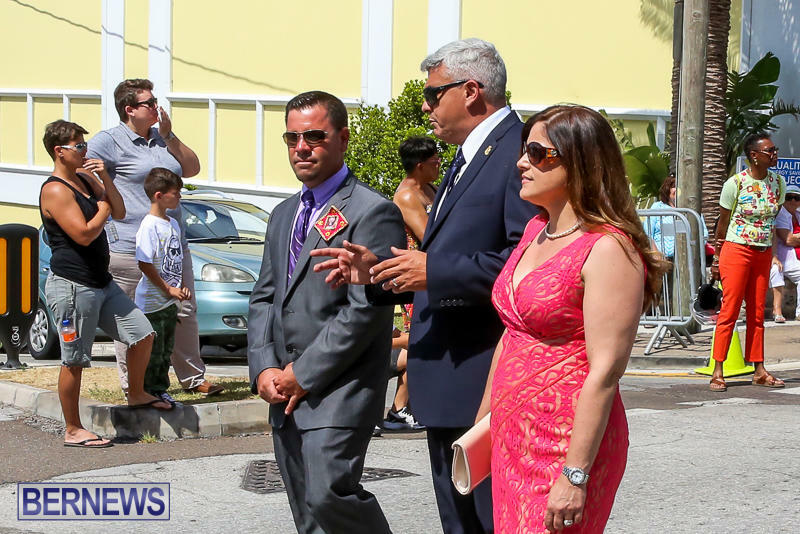 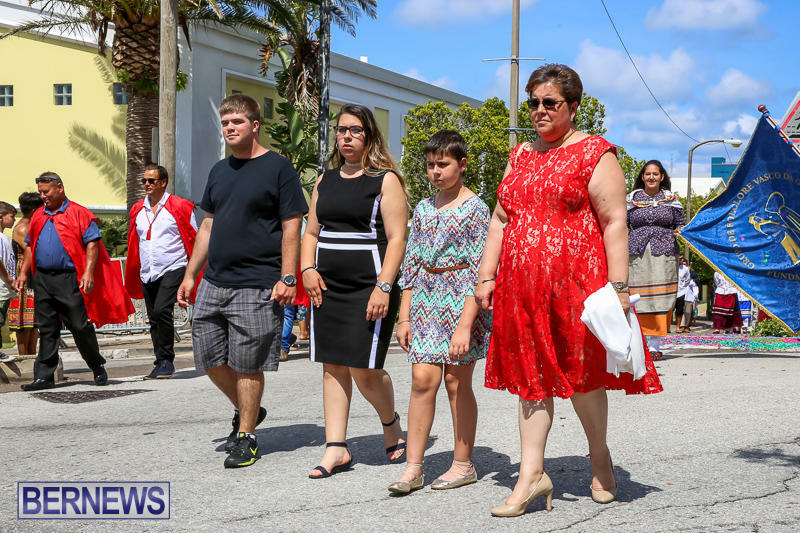 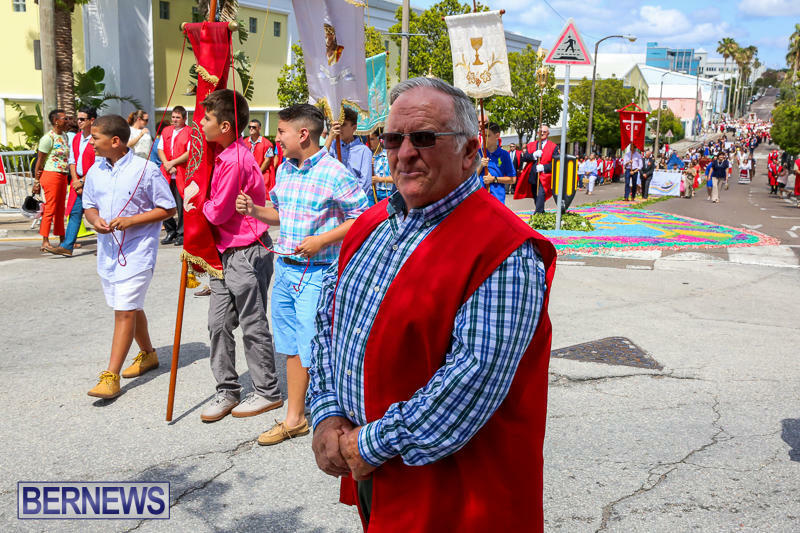 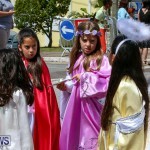 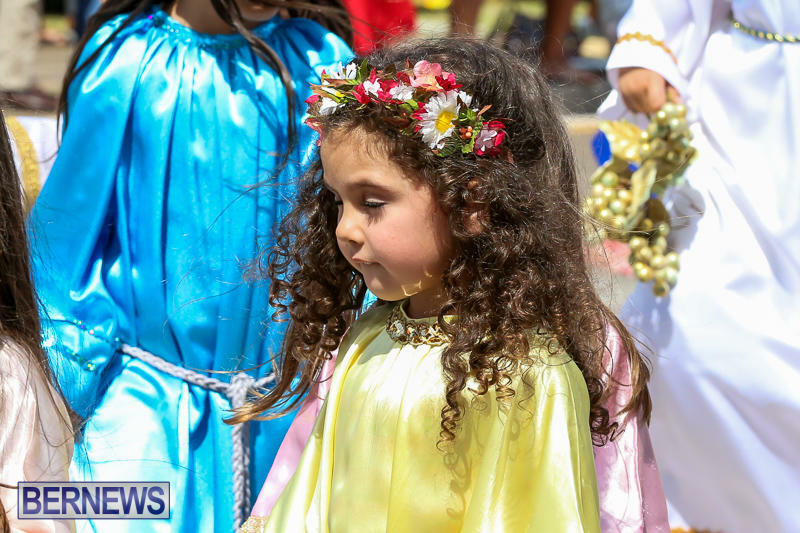 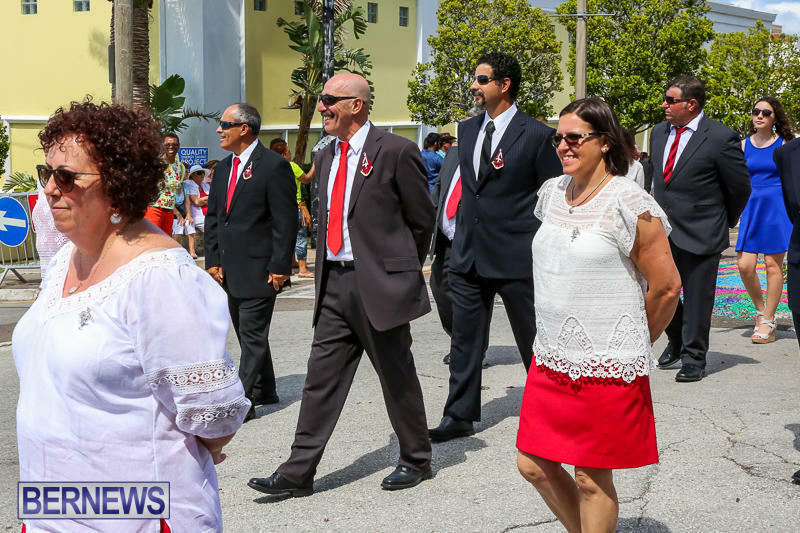 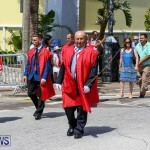 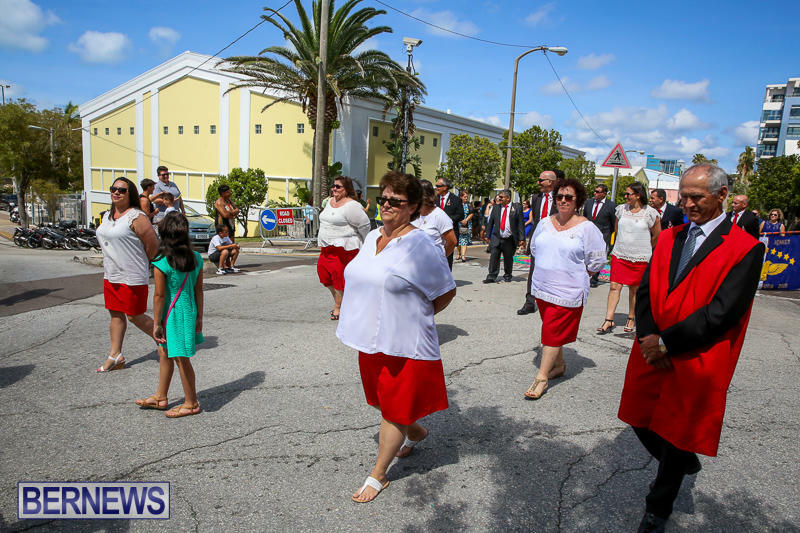 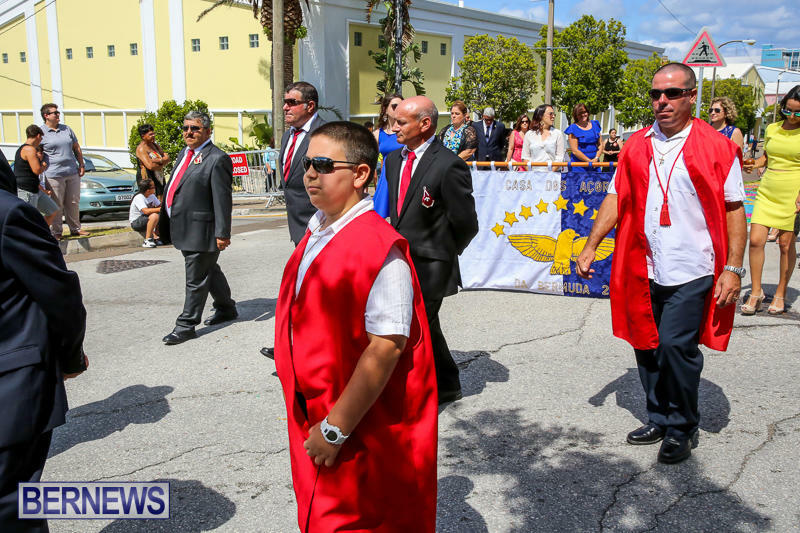 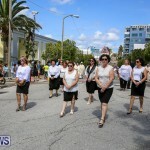 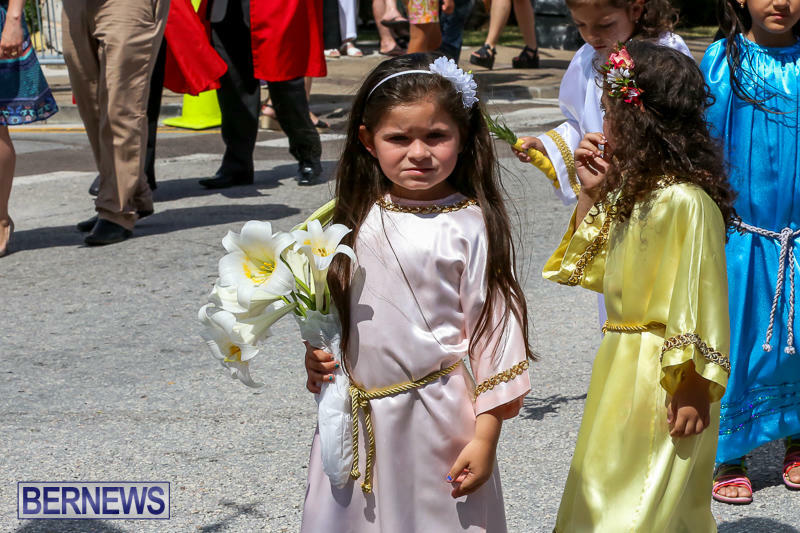 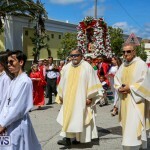 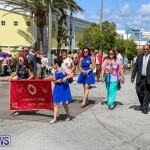 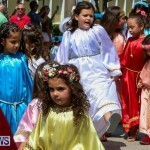 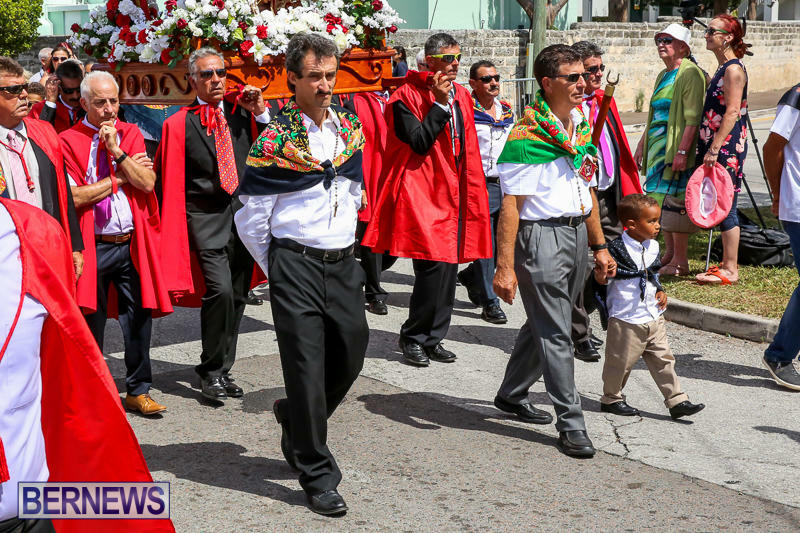 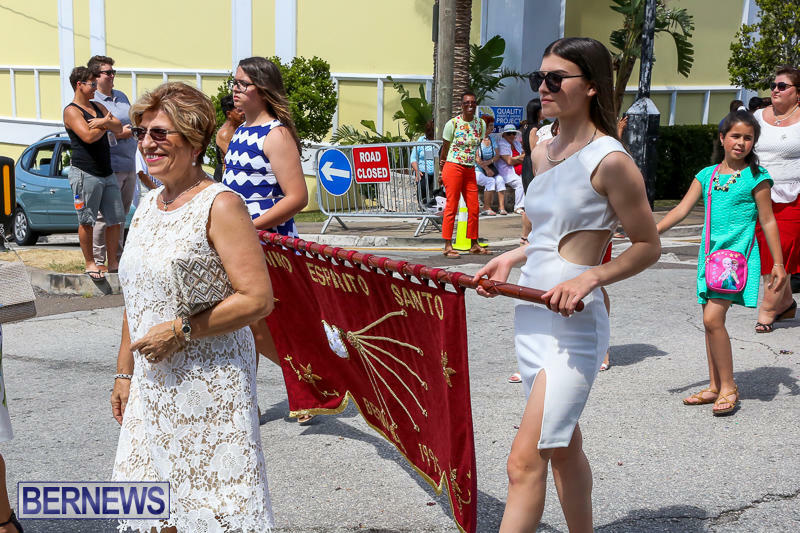 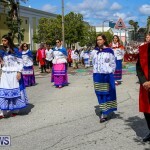 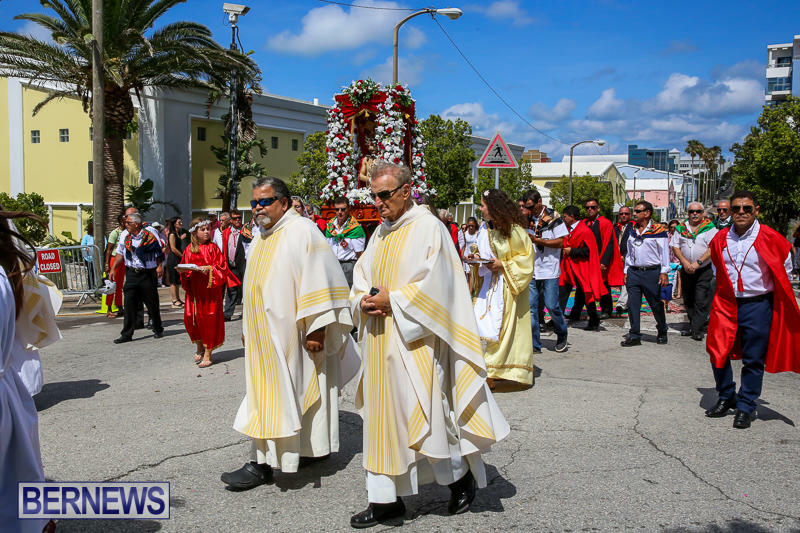 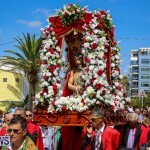 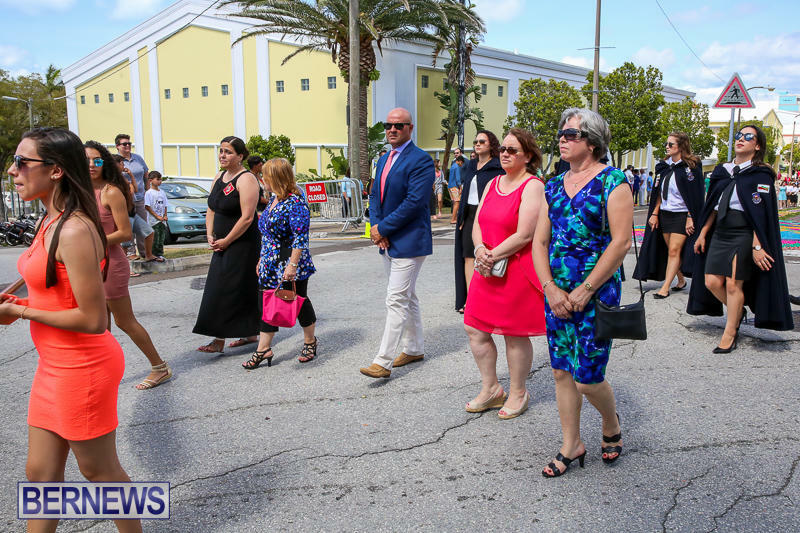 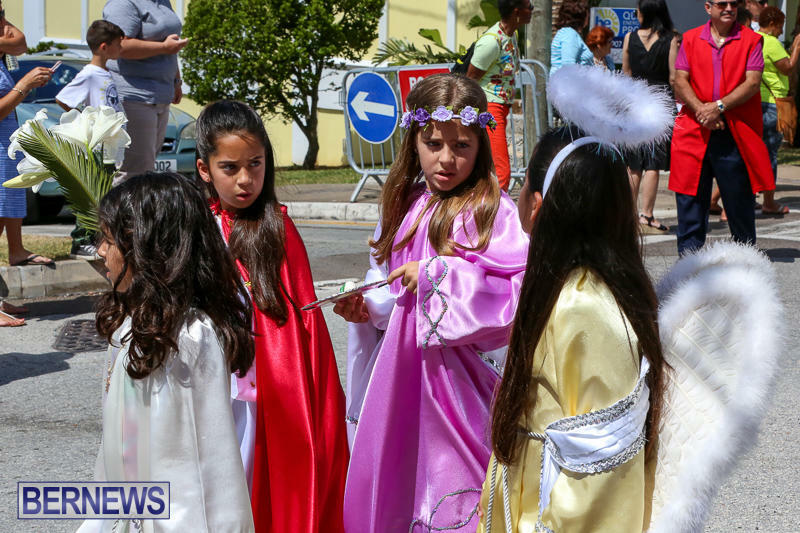 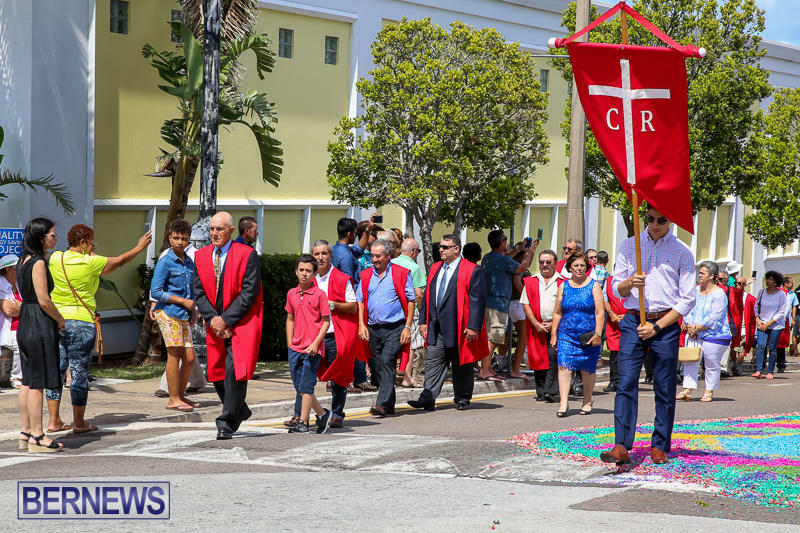 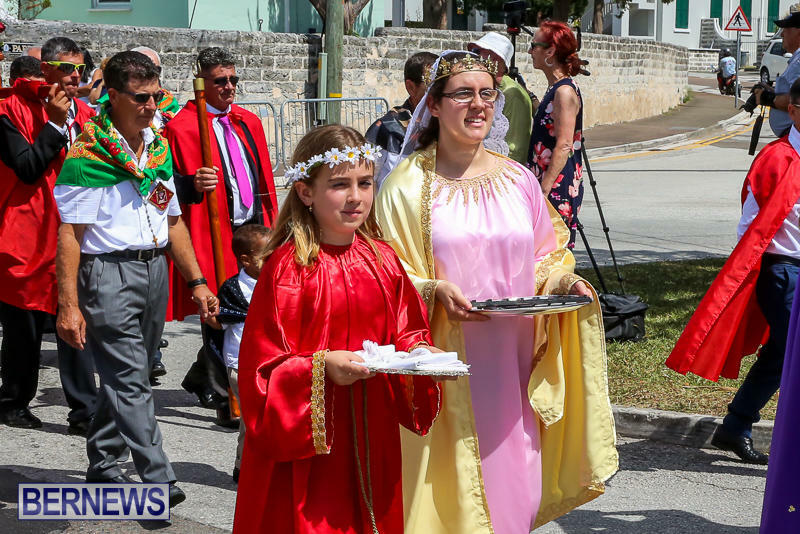 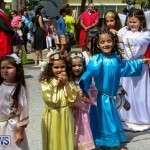 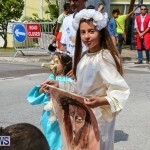 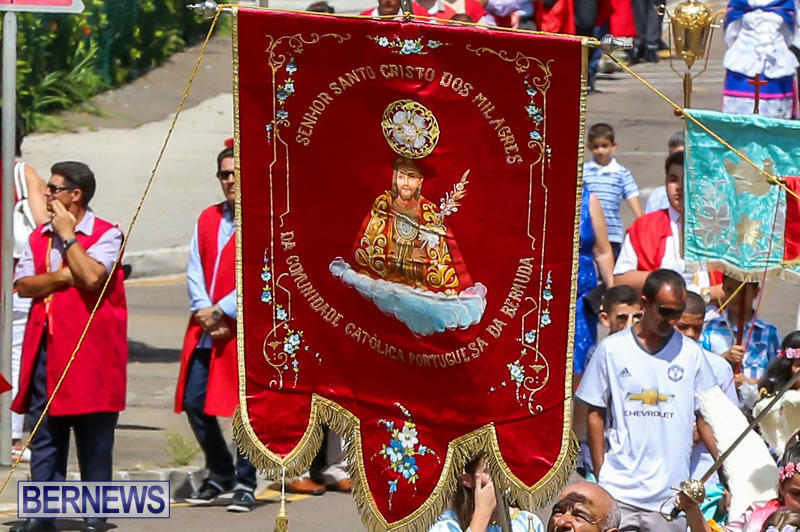 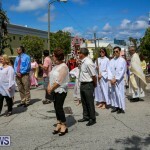 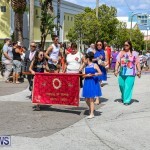 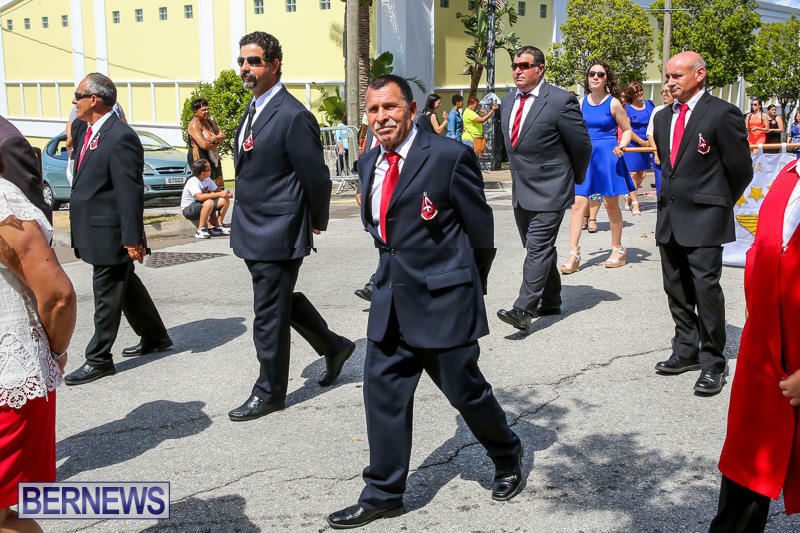 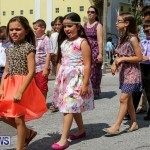 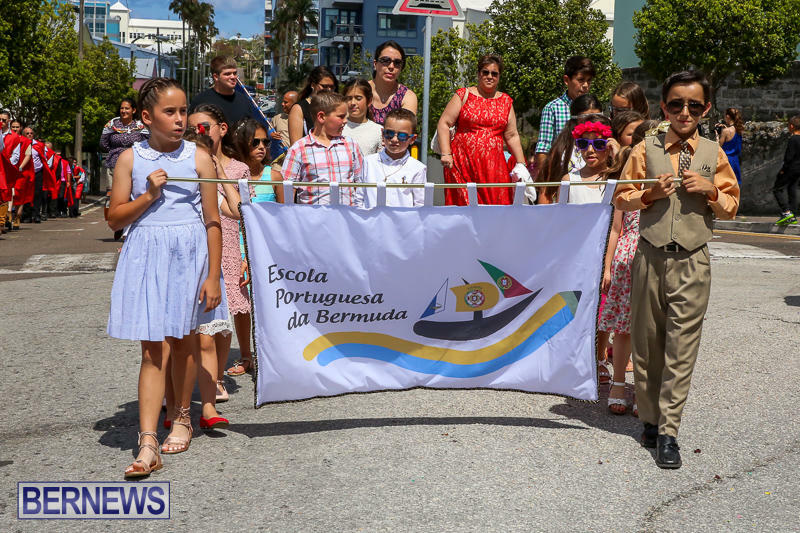 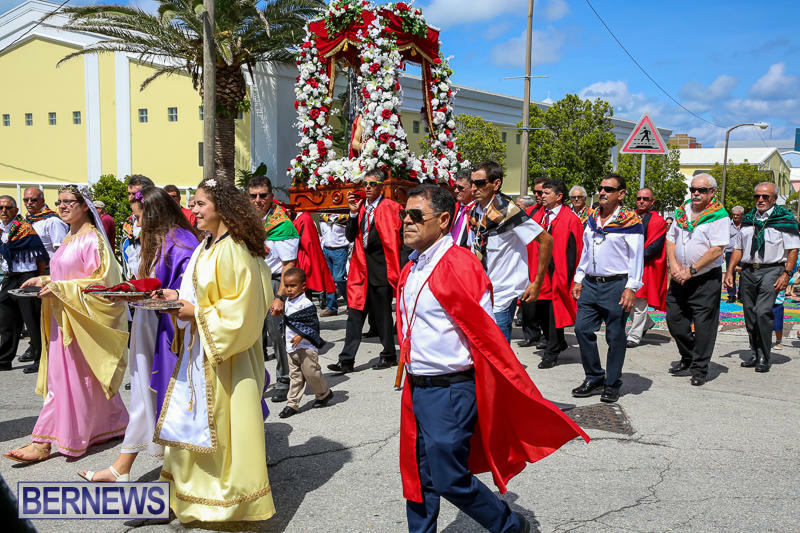 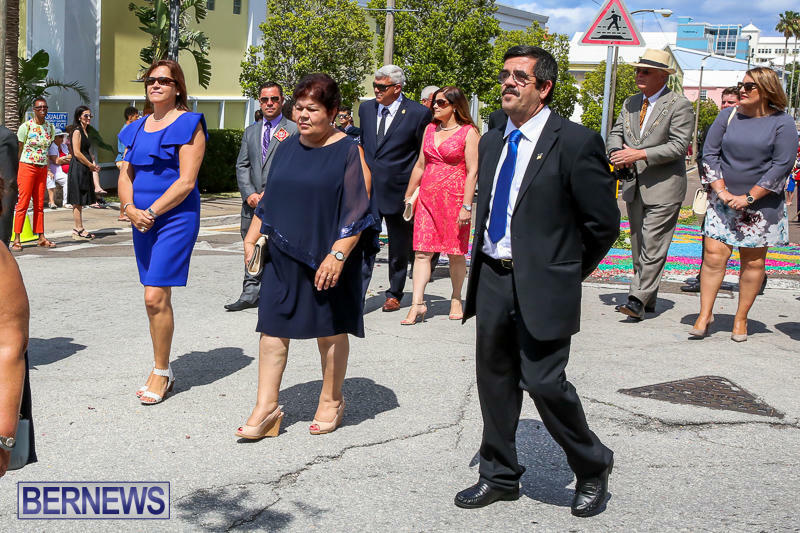 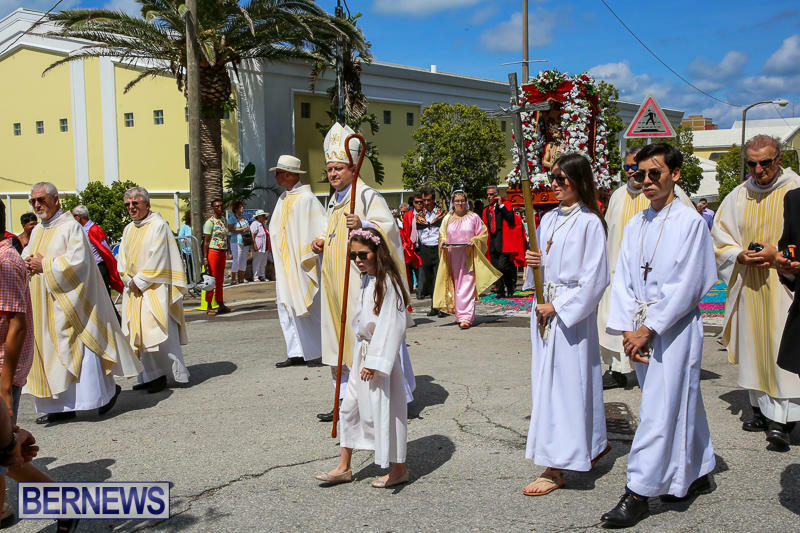 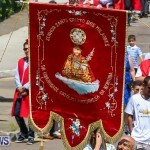 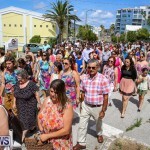 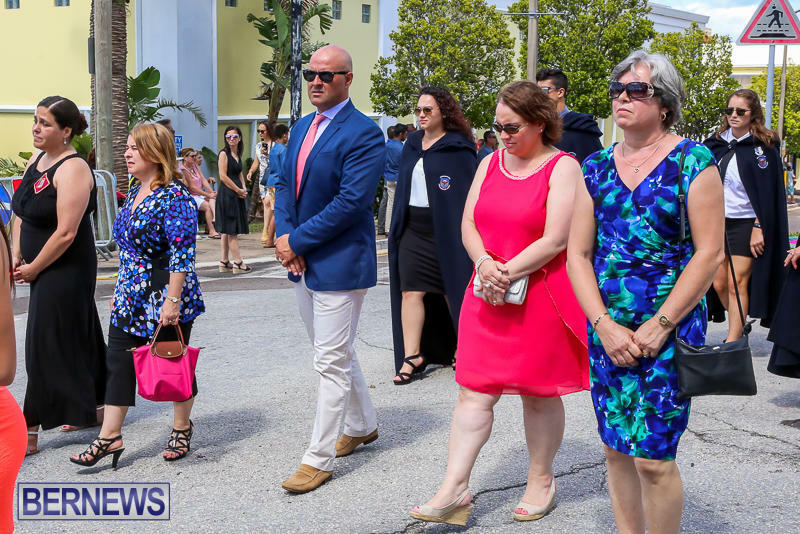 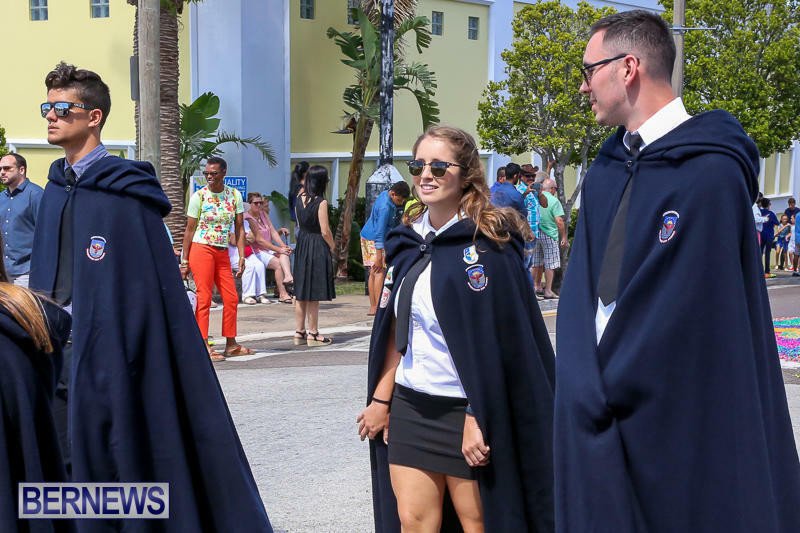 The Portuguese community came together on Sunday in order to celebrate “Festa do Senhor Santo Cristo dos Milagres” [Festival of the Christ of Miracles]. 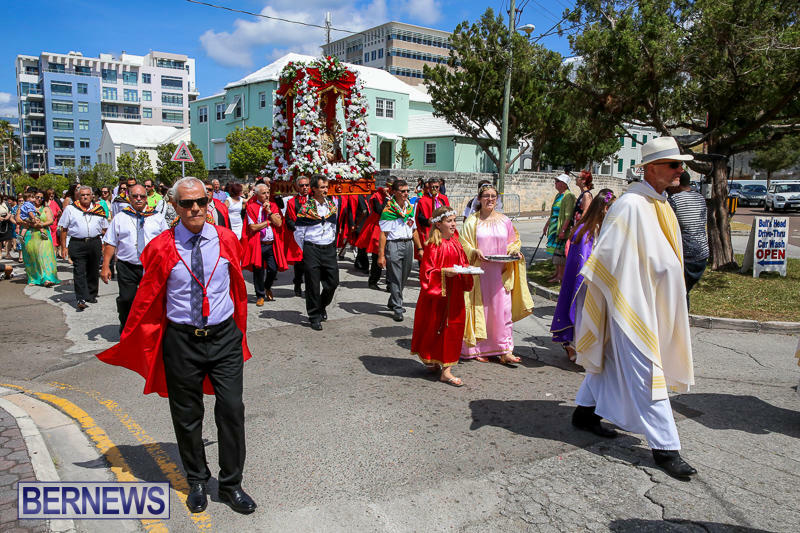 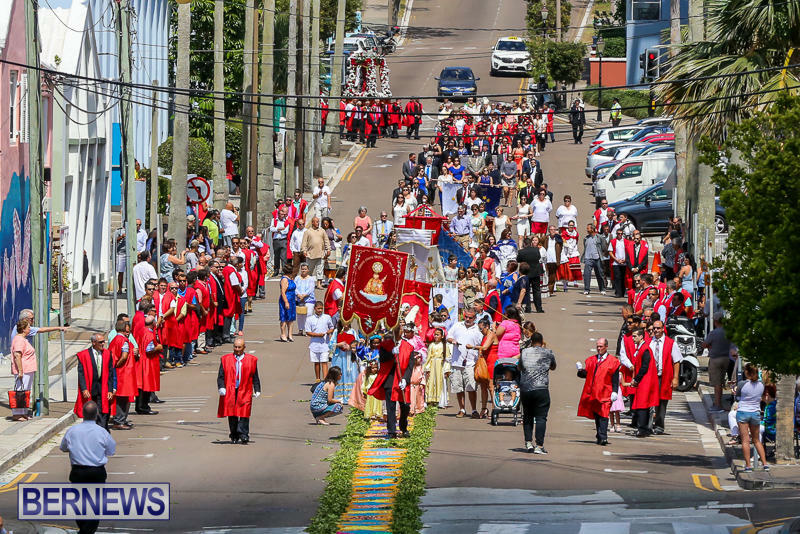 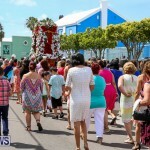 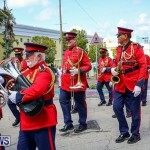 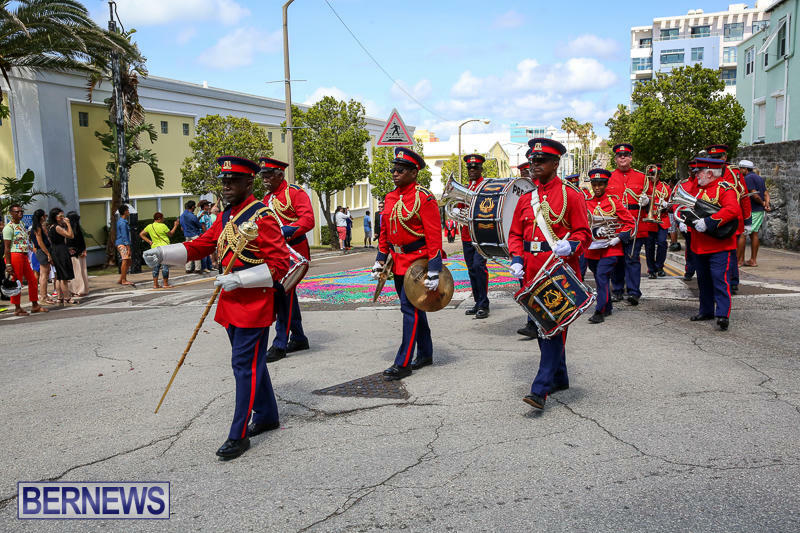 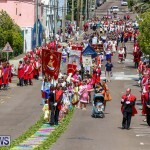 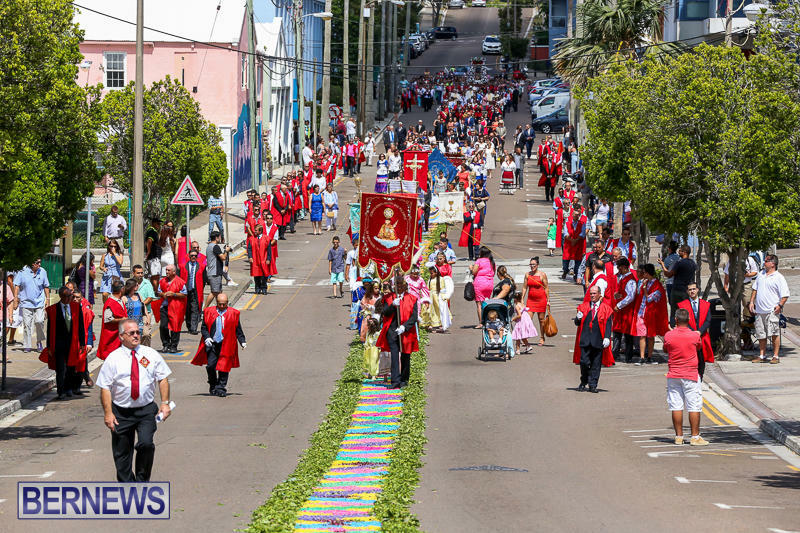 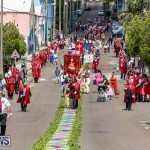 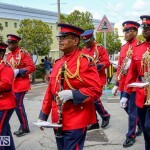 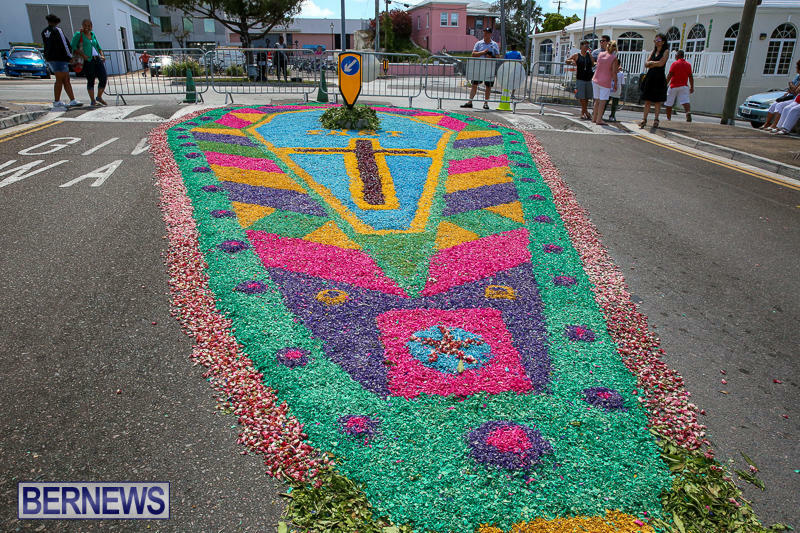 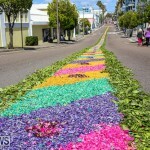 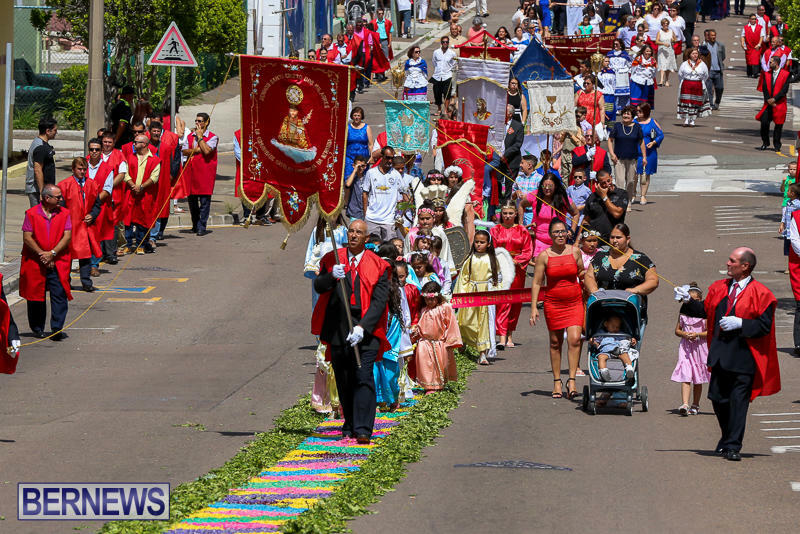 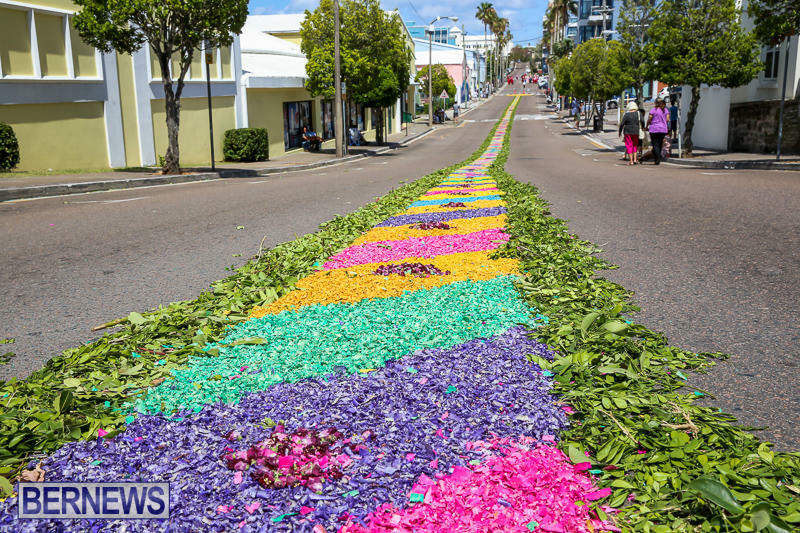 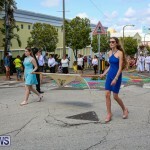 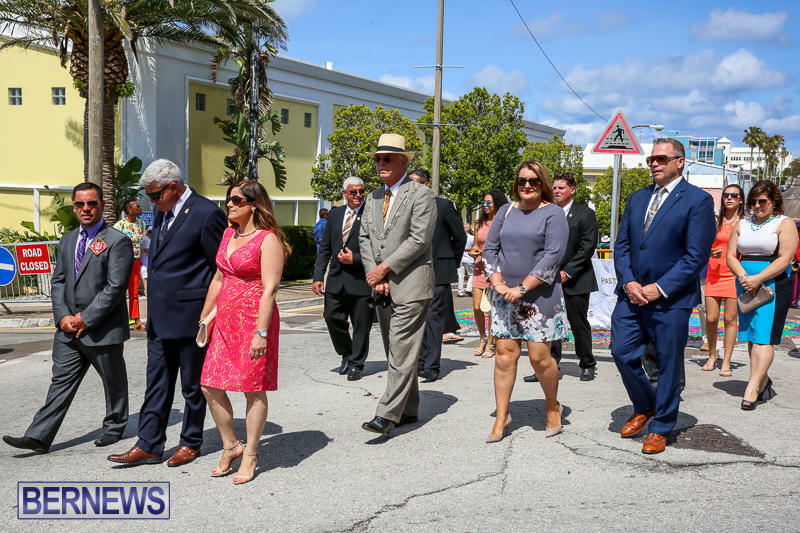 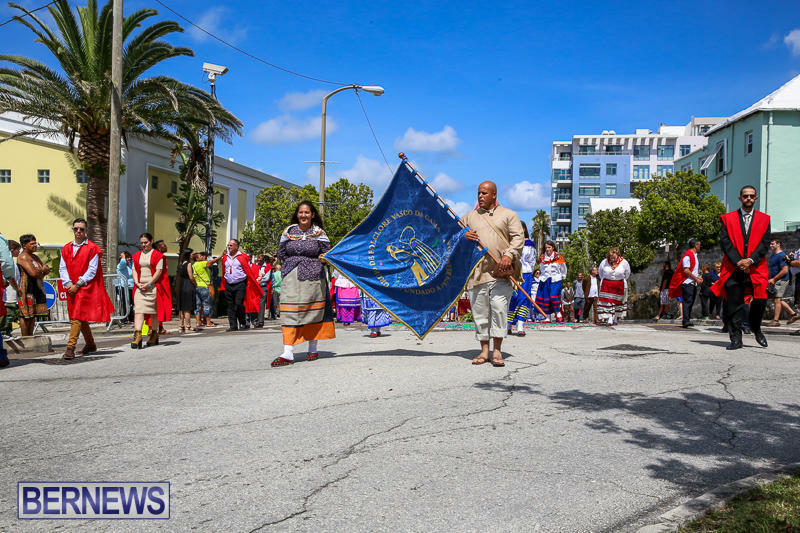 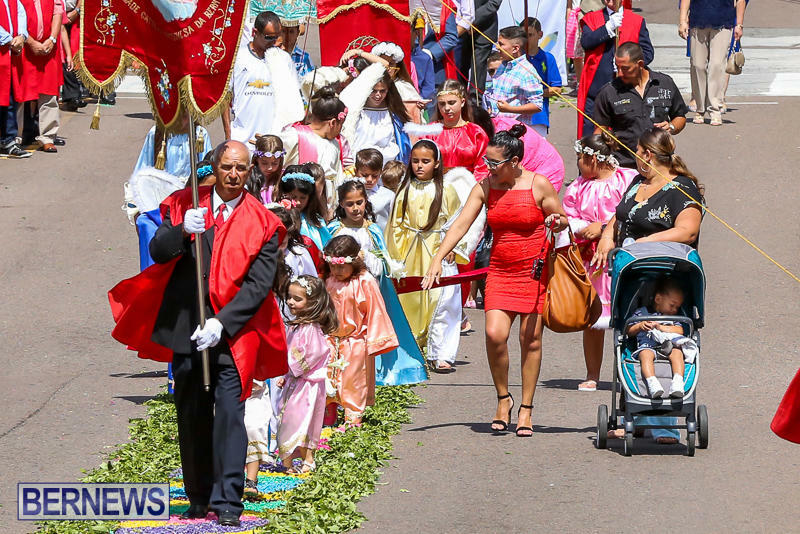 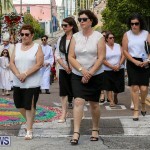 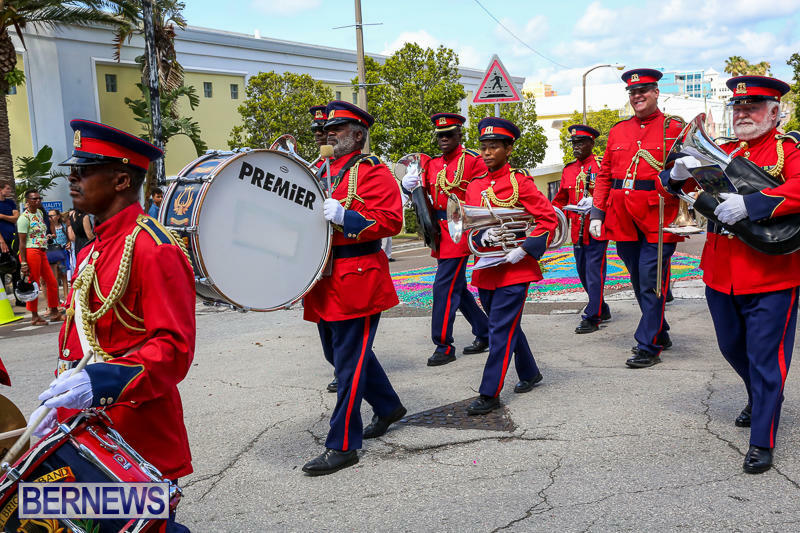 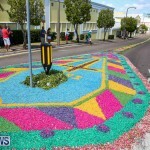 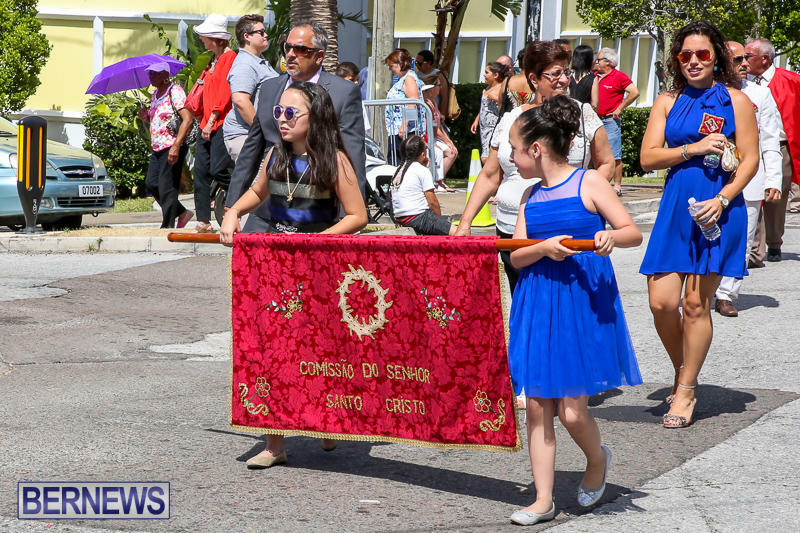 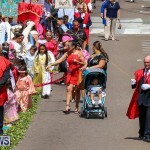 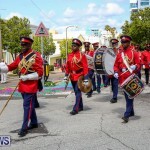 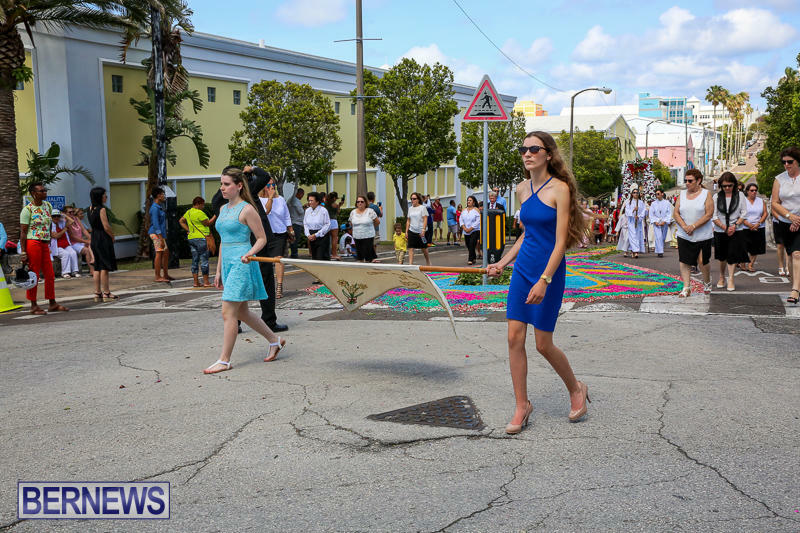 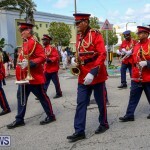 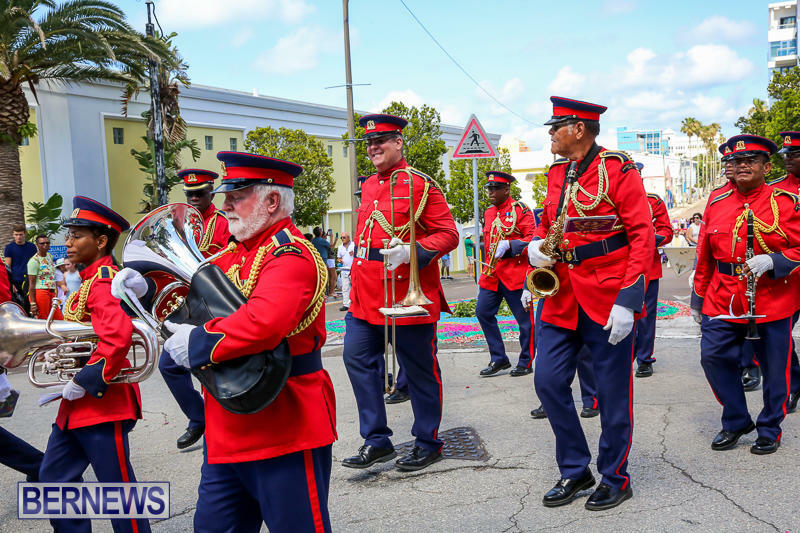 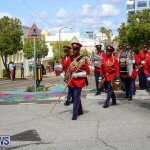 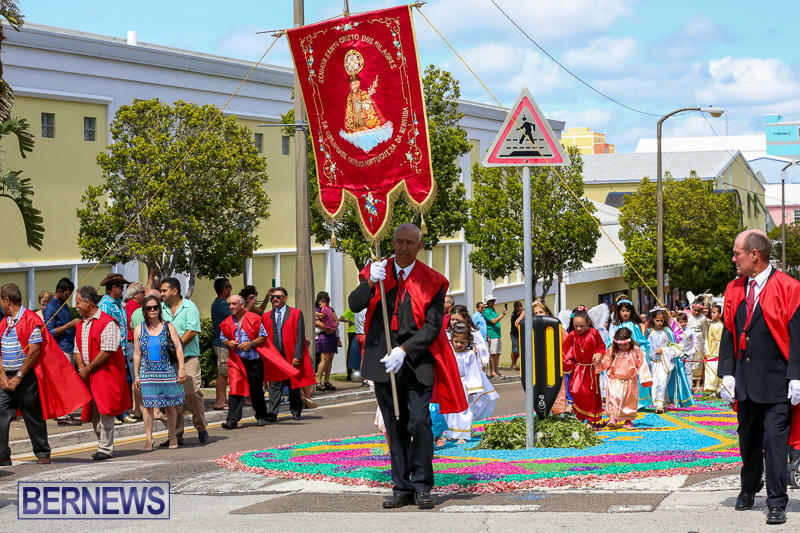 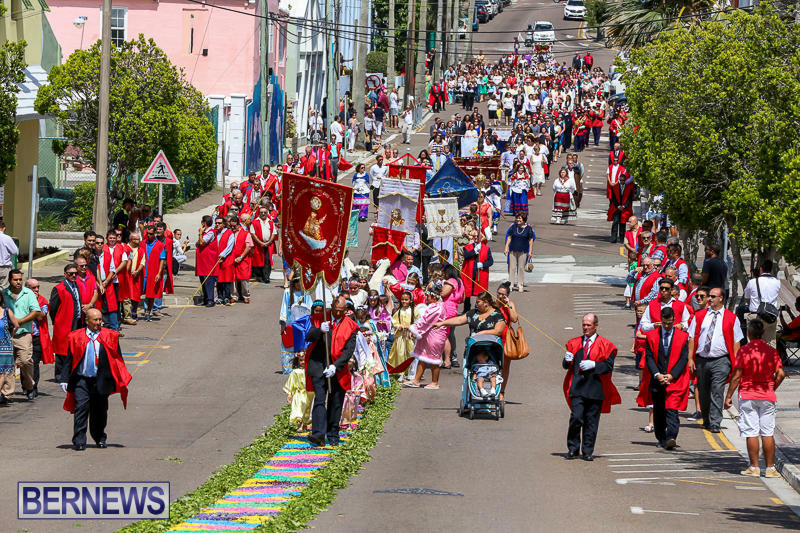 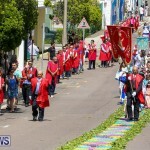 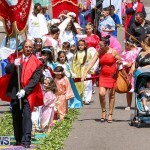 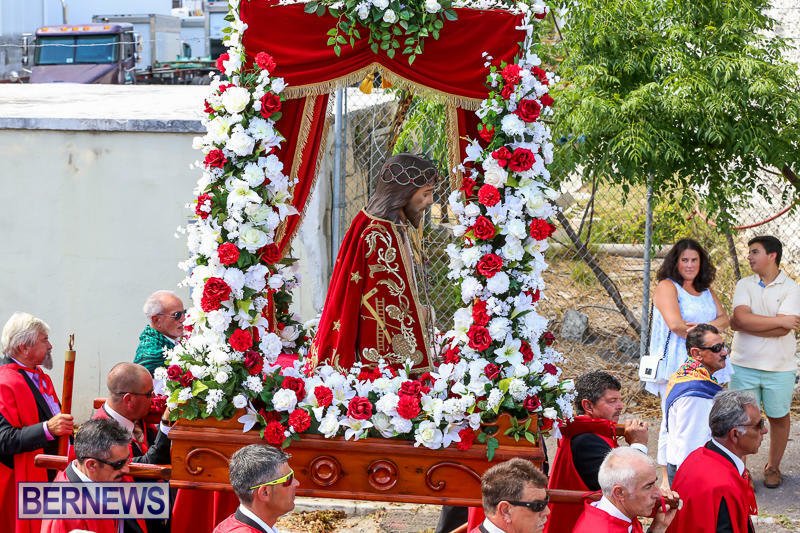 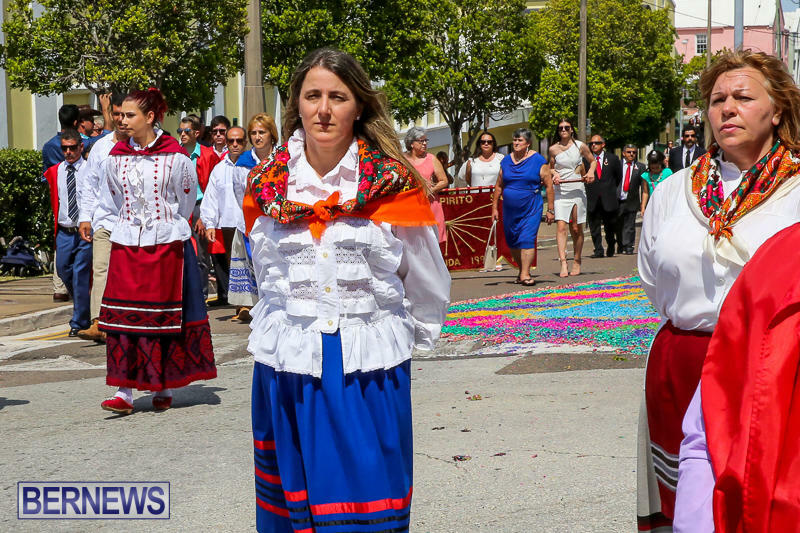 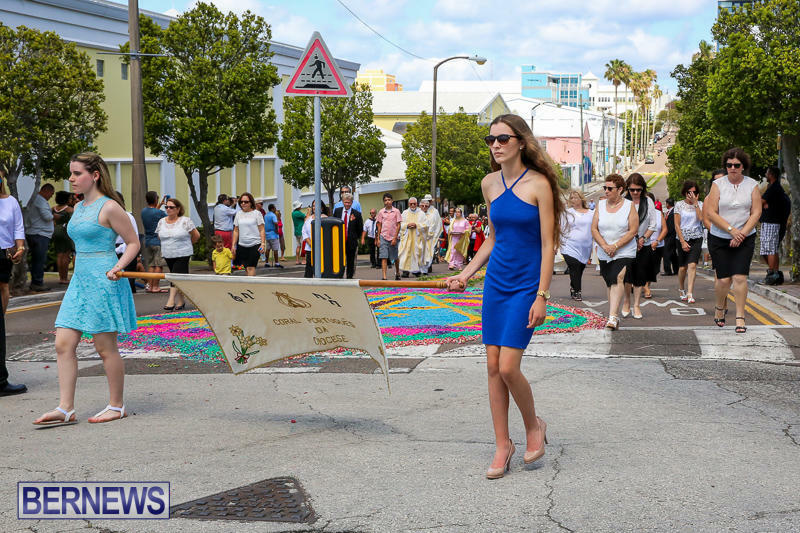 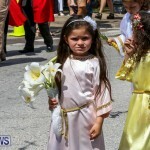 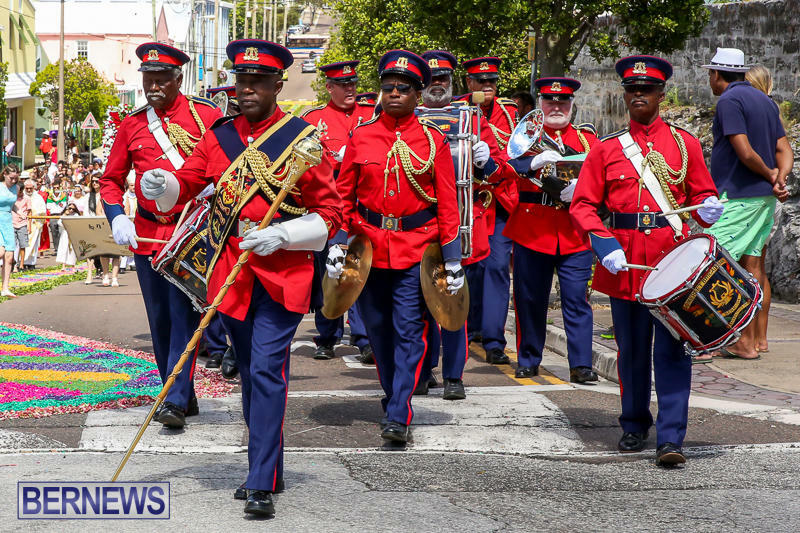 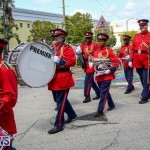 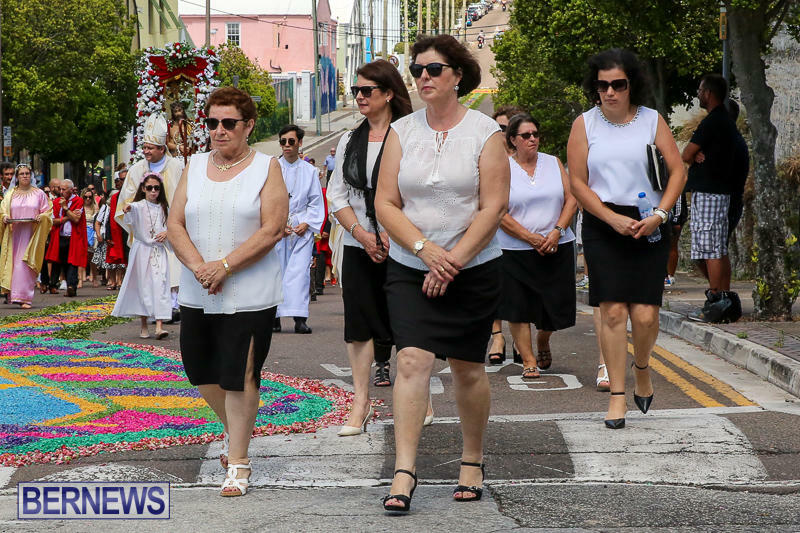 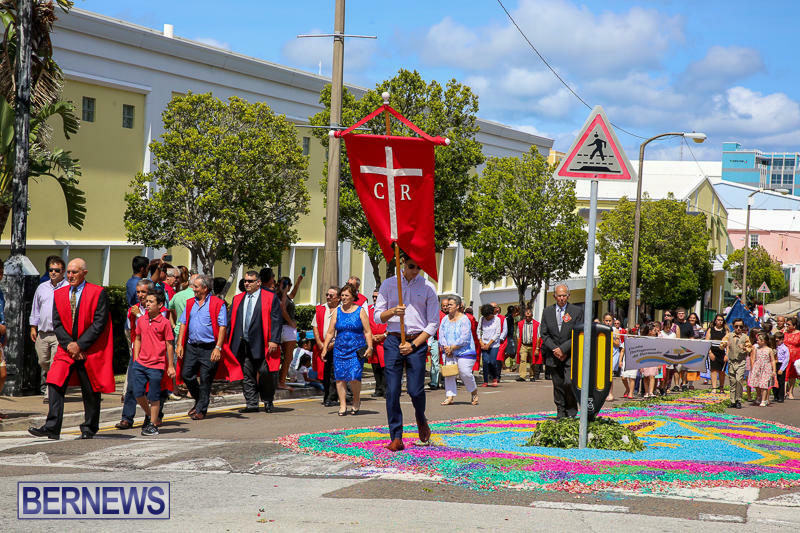 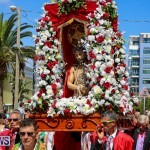 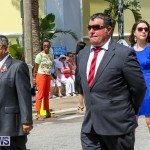 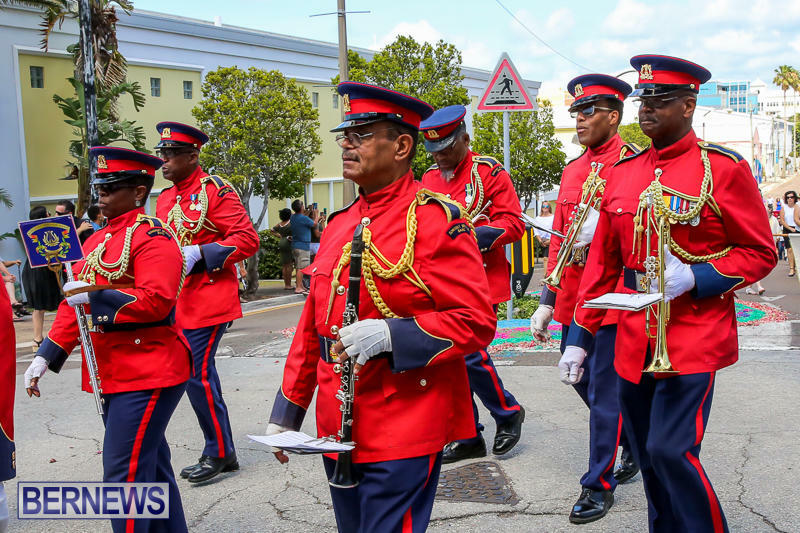 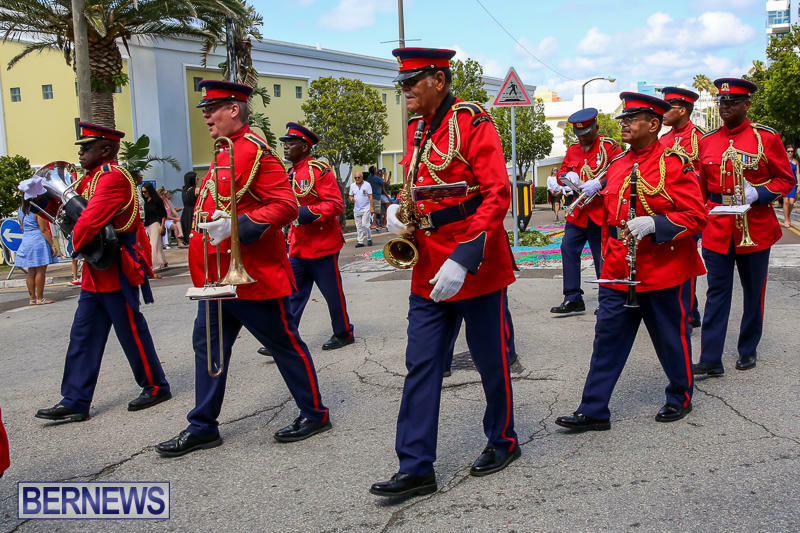 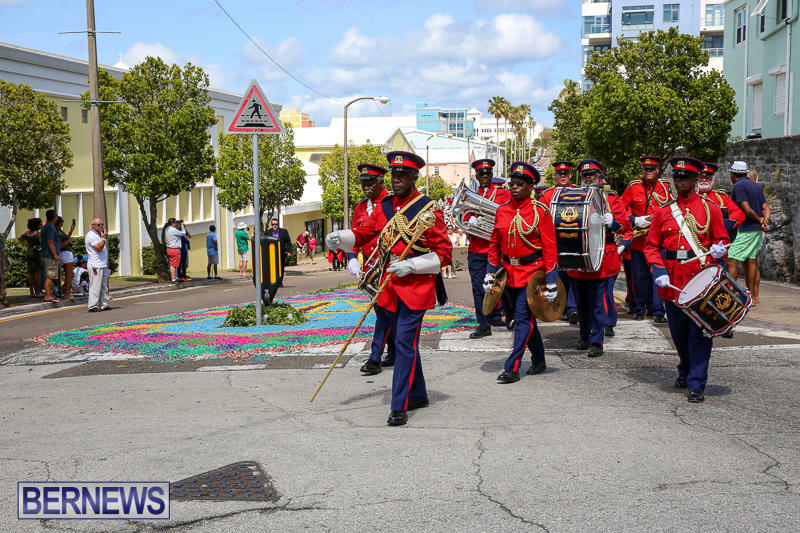 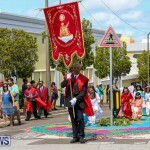 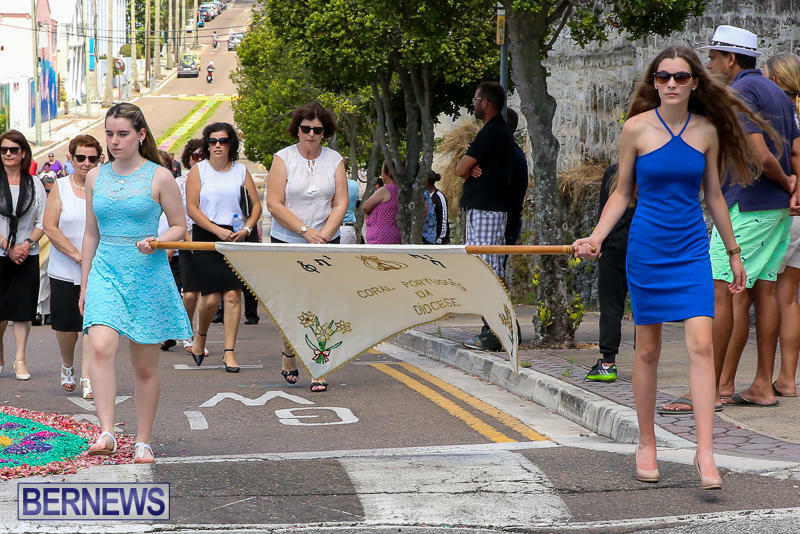 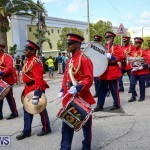 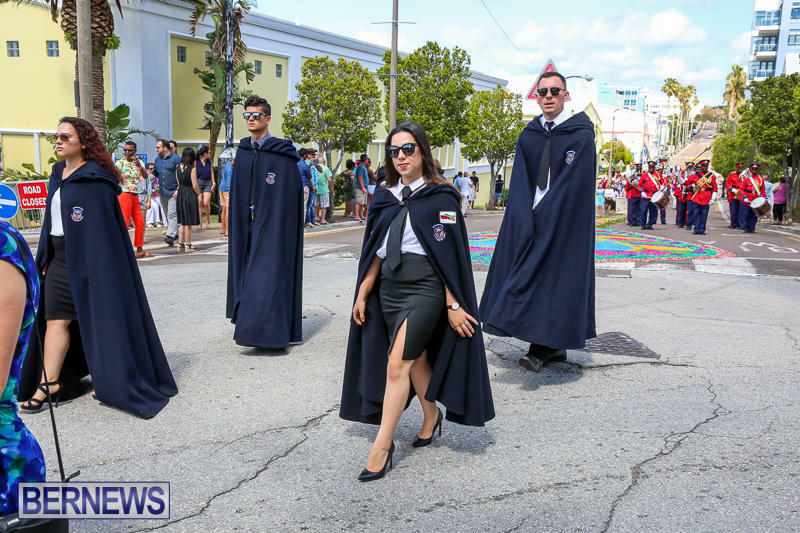 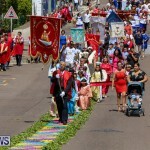 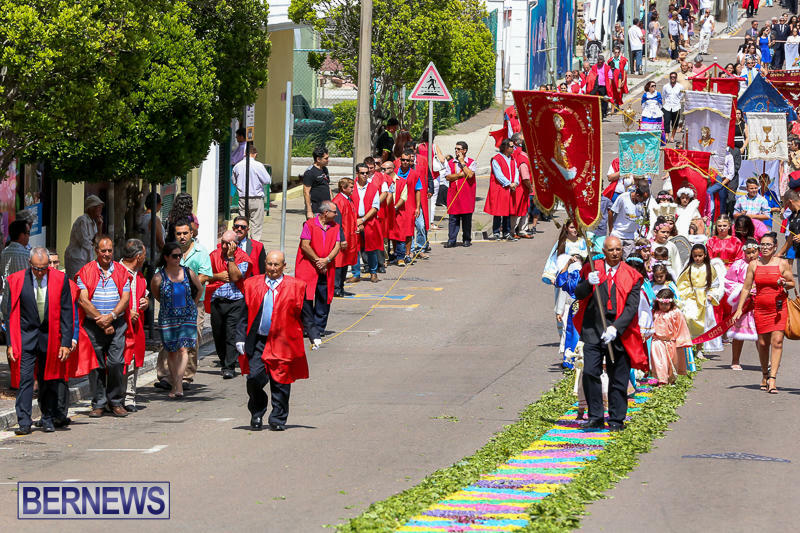 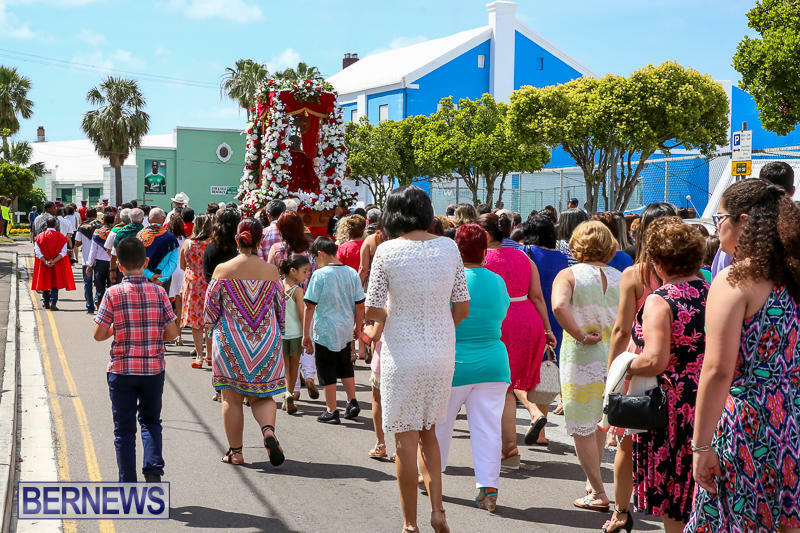 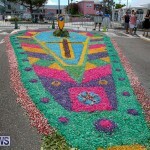 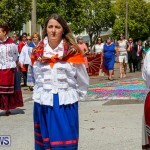 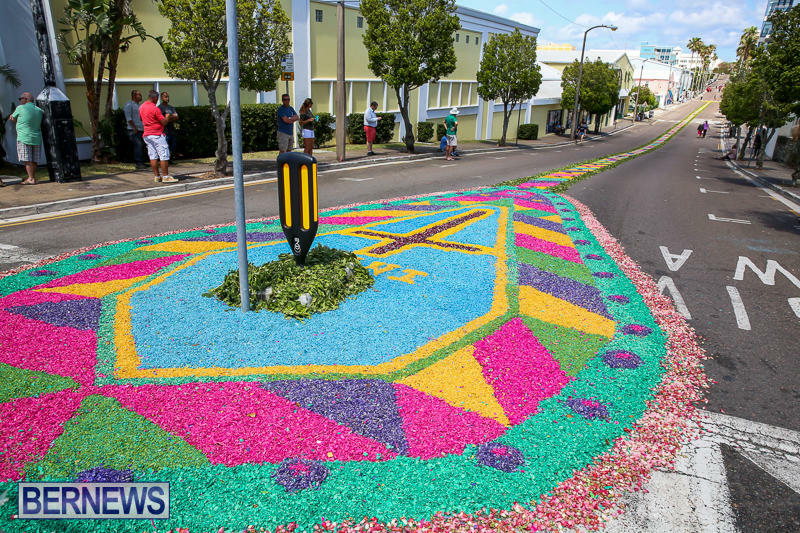 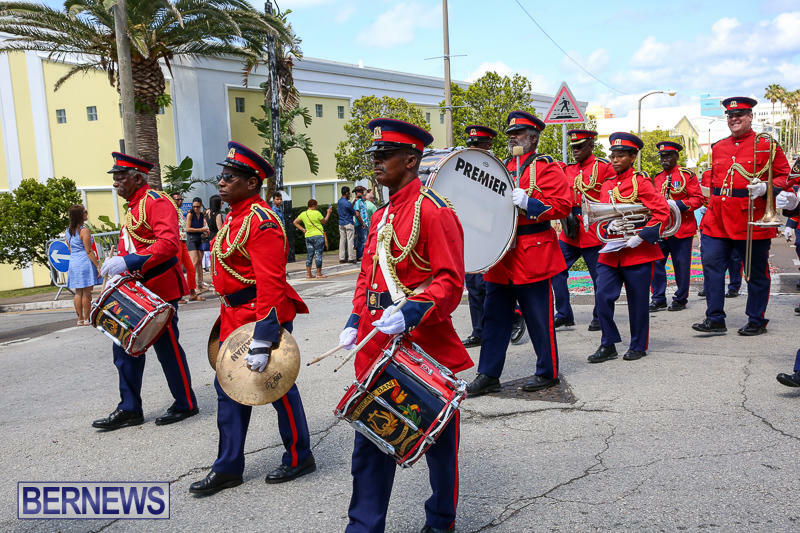 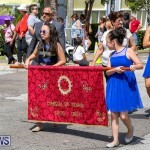 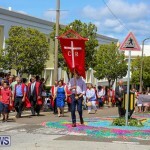 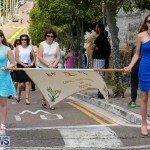 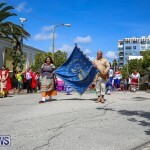 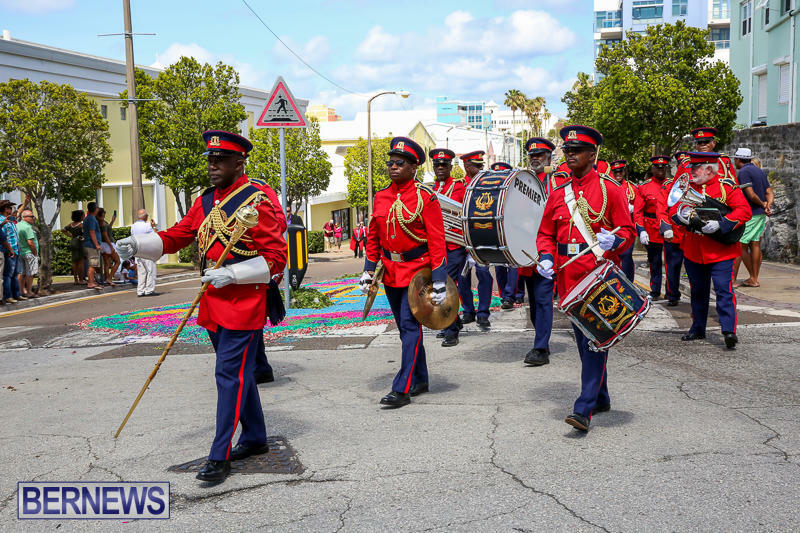 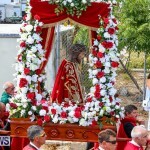 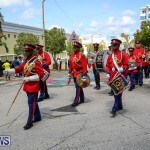 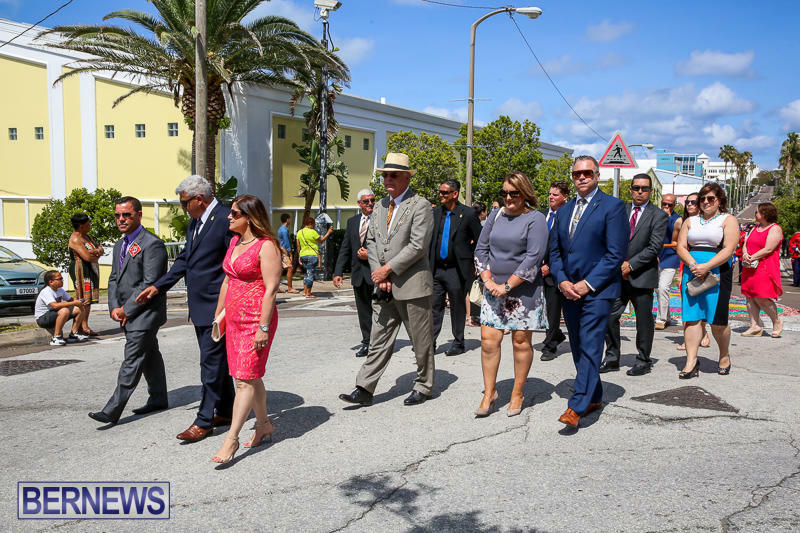 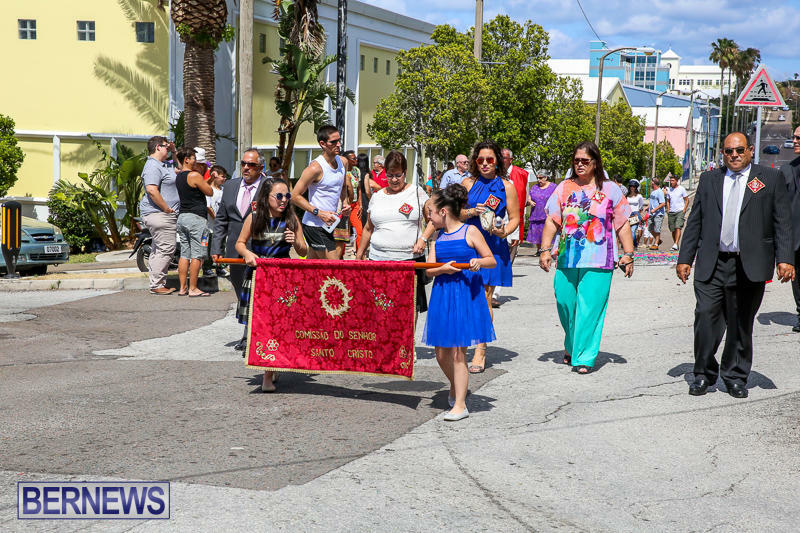 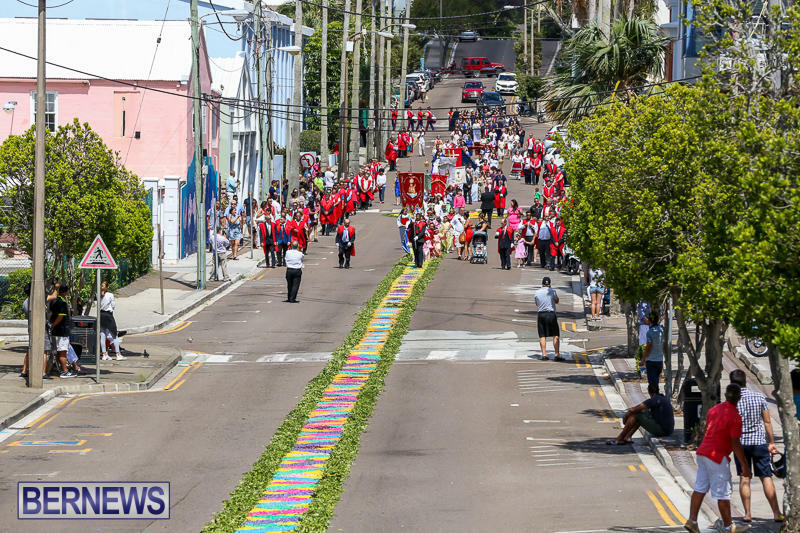 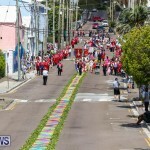 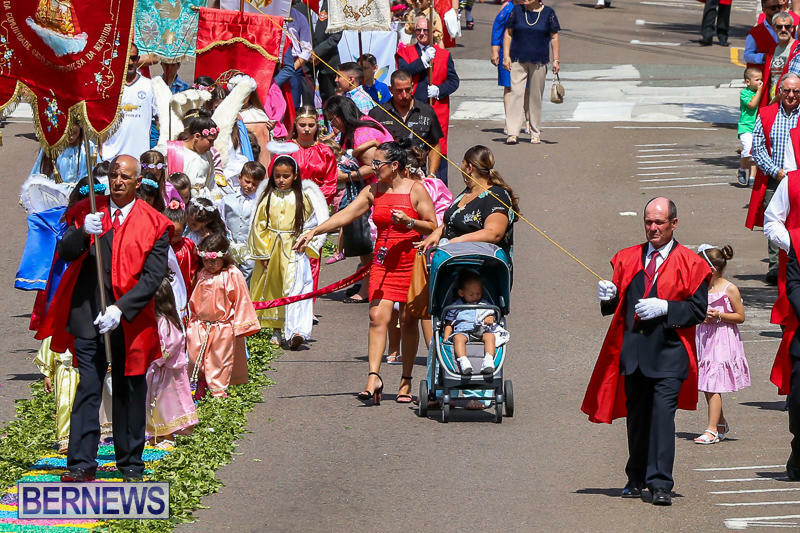 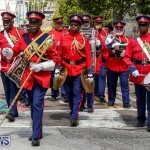 A centuries old tradition that originated in the Azores in the 17th century, the festival sees a solemn procession move through Hamilton, with participants walking on a carpet of flowers set down beforehand. 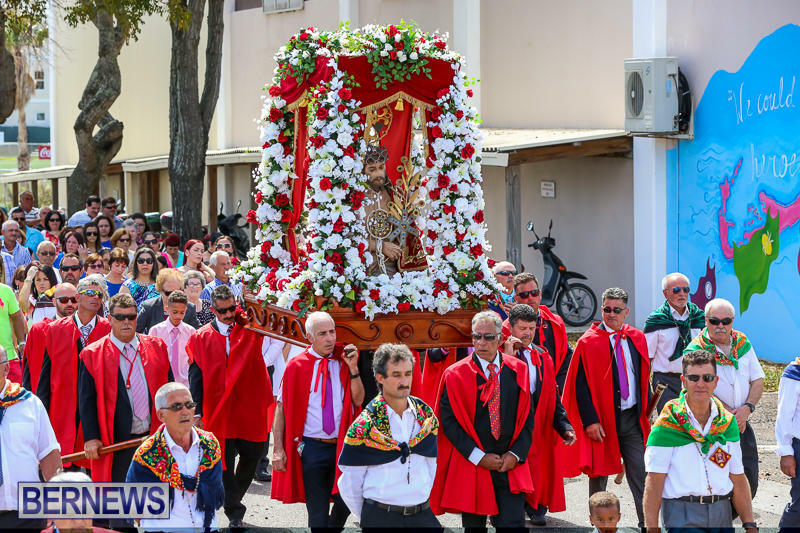 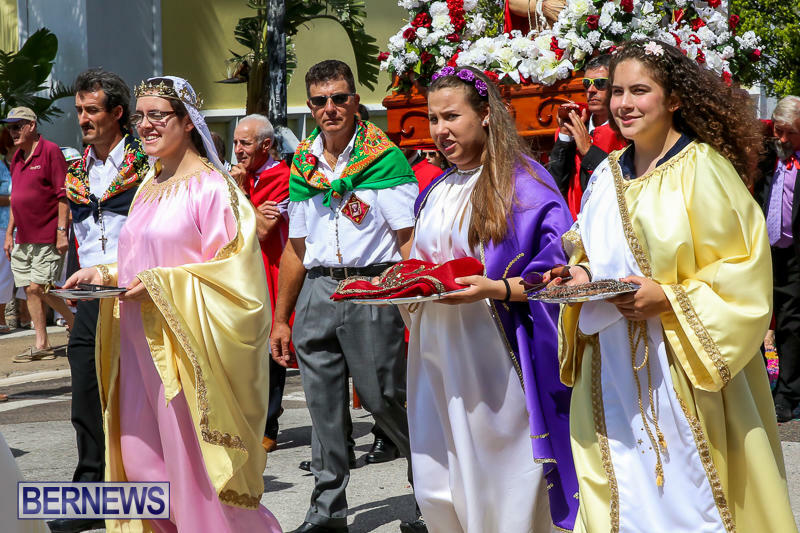 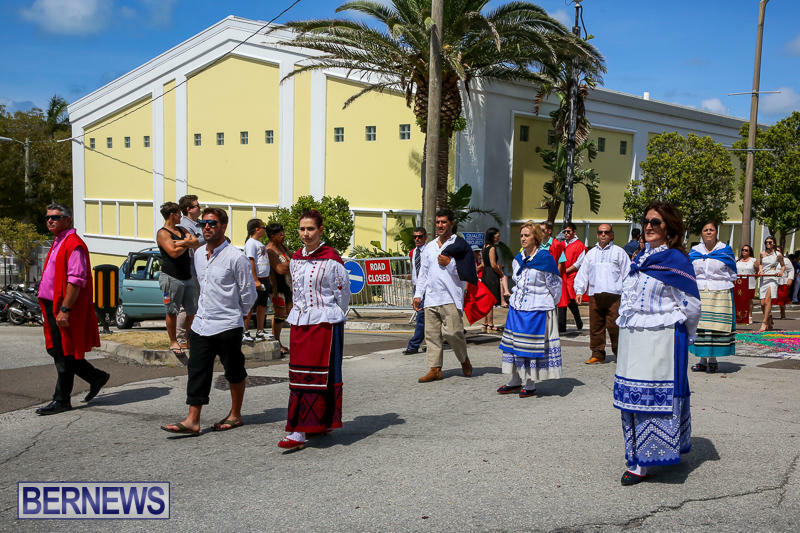 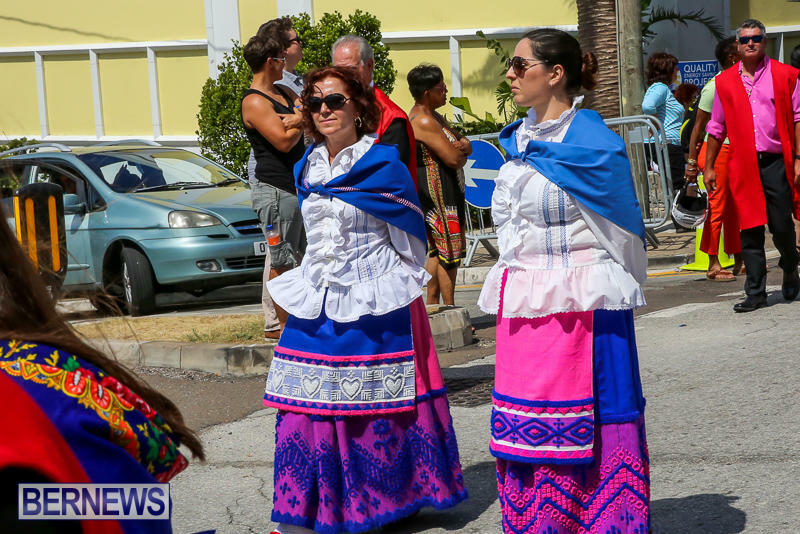 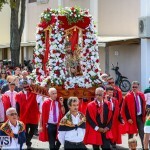 Some 400 years old, the Festival is one of the largest religious celebrations in the Azores, and is also celebrated by the Portuguese diaspora across the globe.